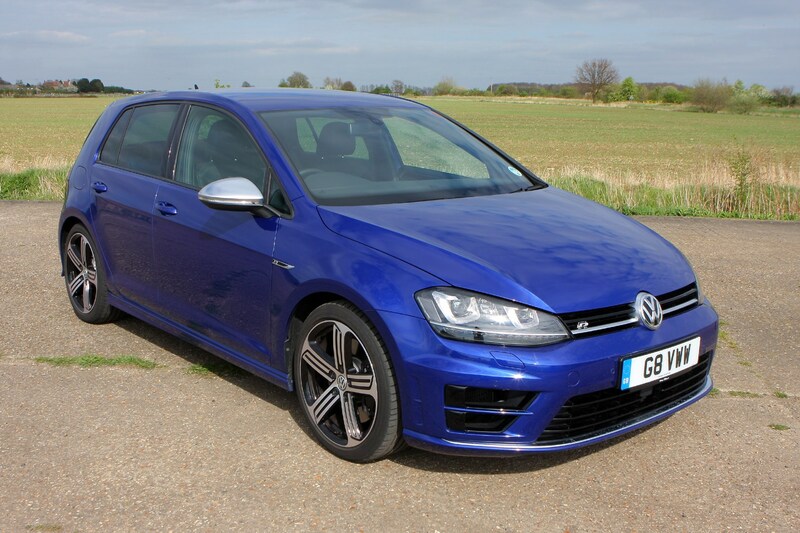 If the prodigious GTI version simply isn’t enough for you, it’s time you meet its more muscular brother – step forward the Volkswagen Golf R.
While not quite as much of an outright psychopath as the Mercedes A45 AMG, the Golf R doesn’t cost as much either. 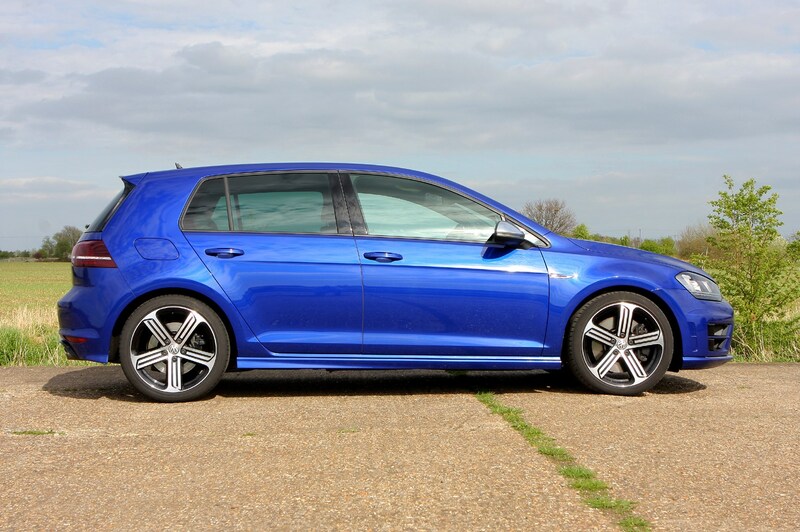 It’s also quite a lot faster on the road than offerings such as the Ford Focus ST, and comfier and more accessible than all of the above. 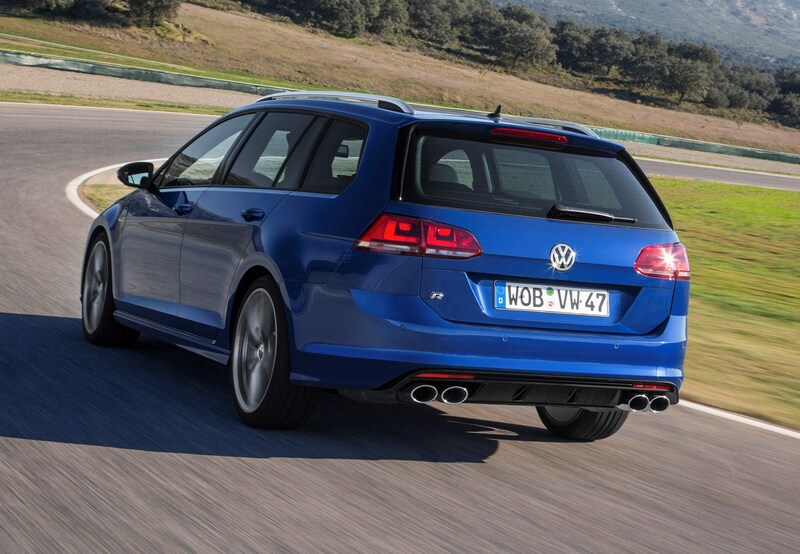 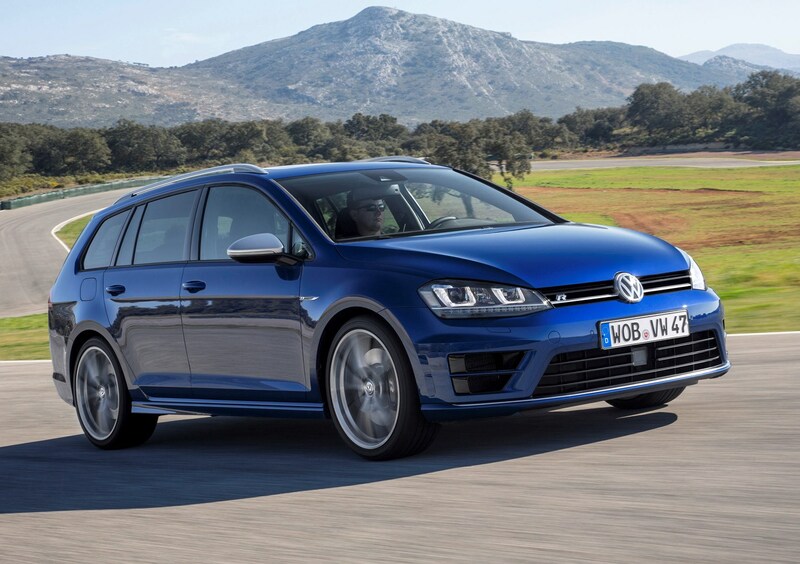 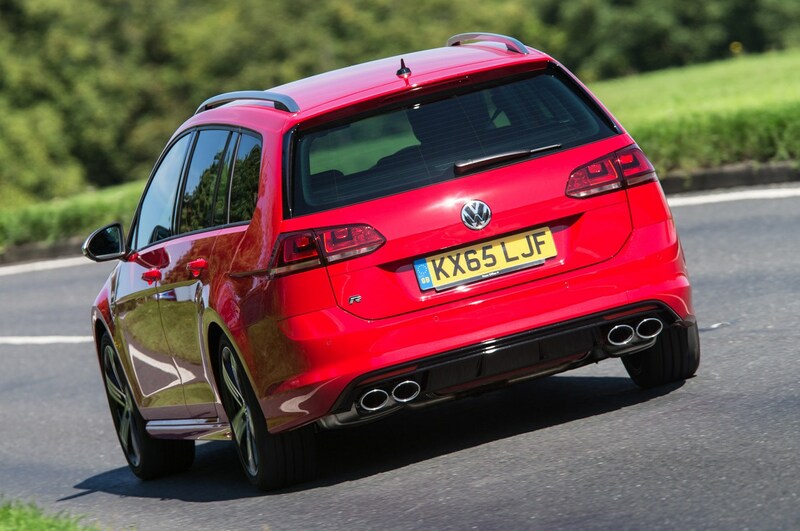 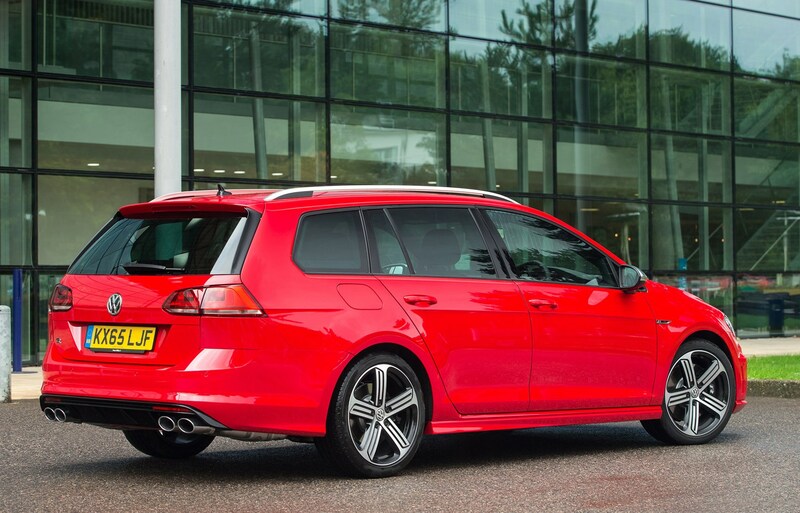 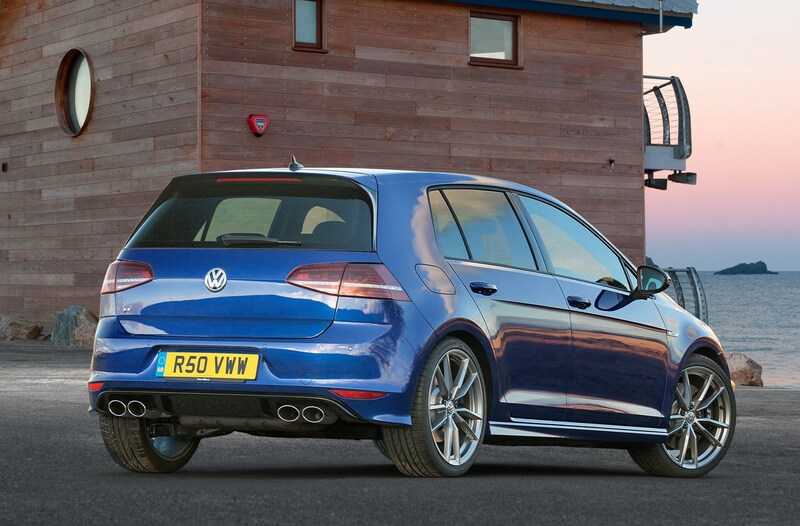 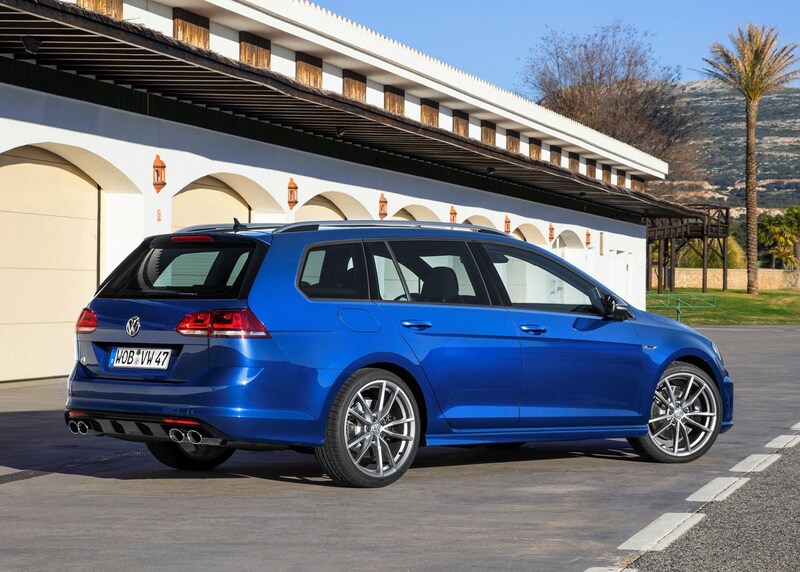 Available in both three- and five-door guises, in fact the Golf R’s main rival comes from within the VAG stable. 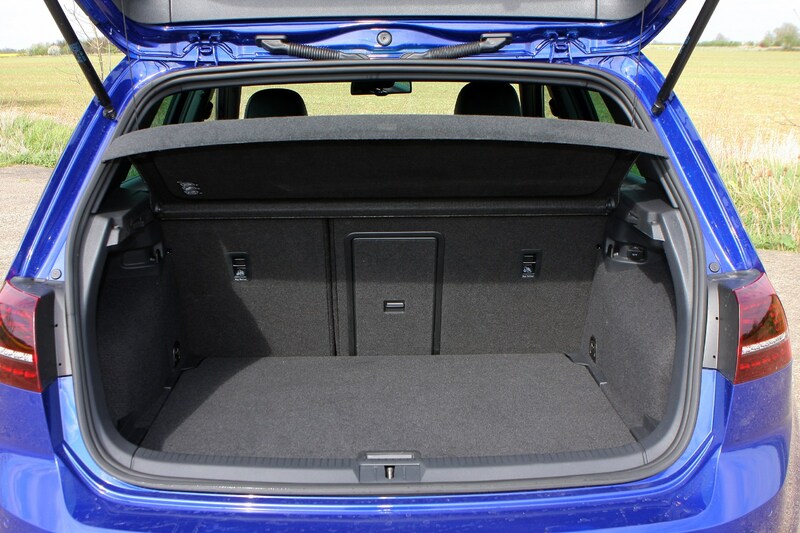 Audi’s S3 (in three-door or five-door ‘Sportback’ configuration) not only shares its parentage but also the car’s basic architecture. 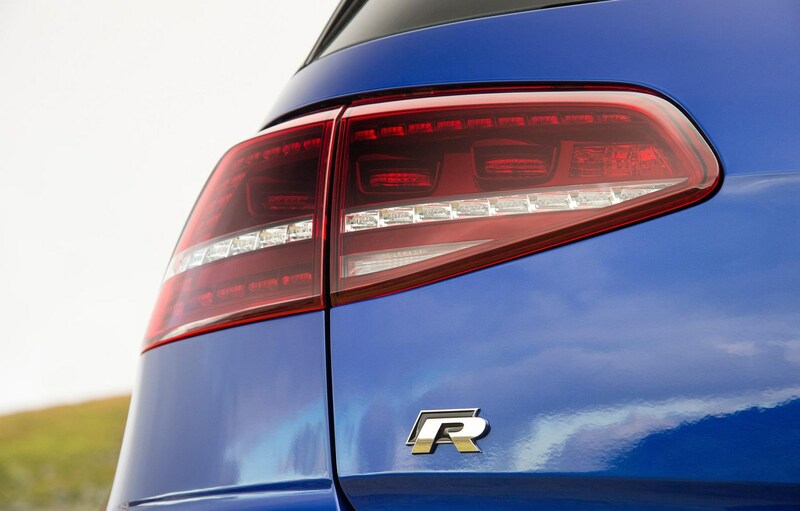 It’s not that much dearer than the R, at less than £1,000 more. 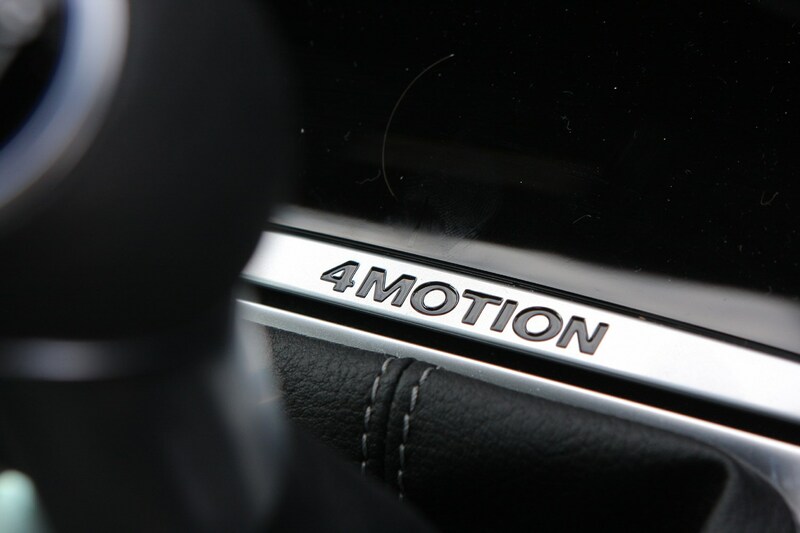 Another car in the same arena is BMW’s excellent M135i – a version of the rear-wheel drive 1 Series with a 3.0-litre turbocharged petrol engine. 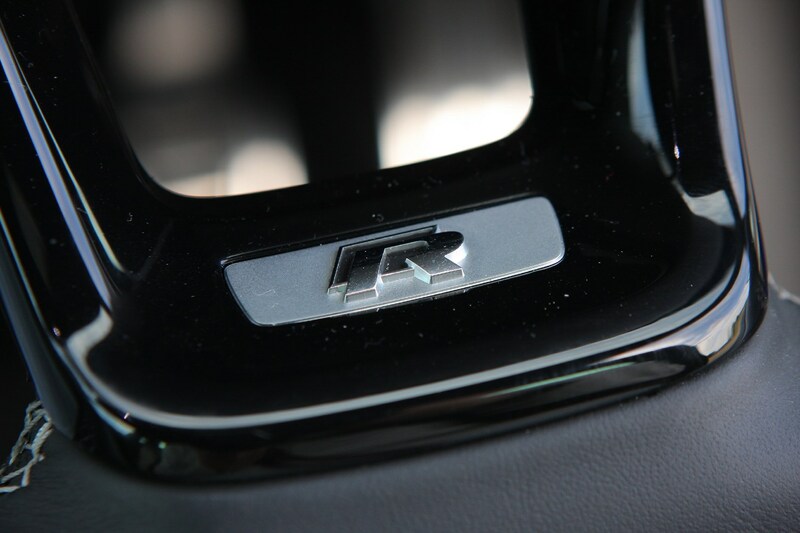 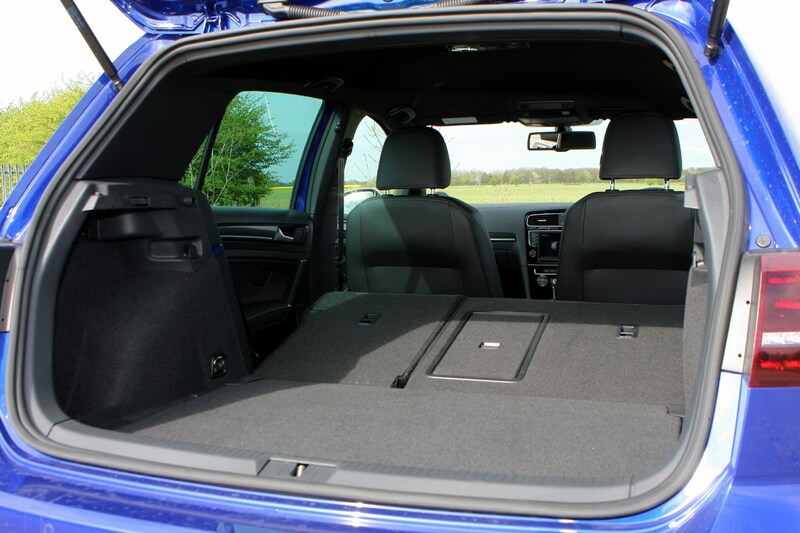 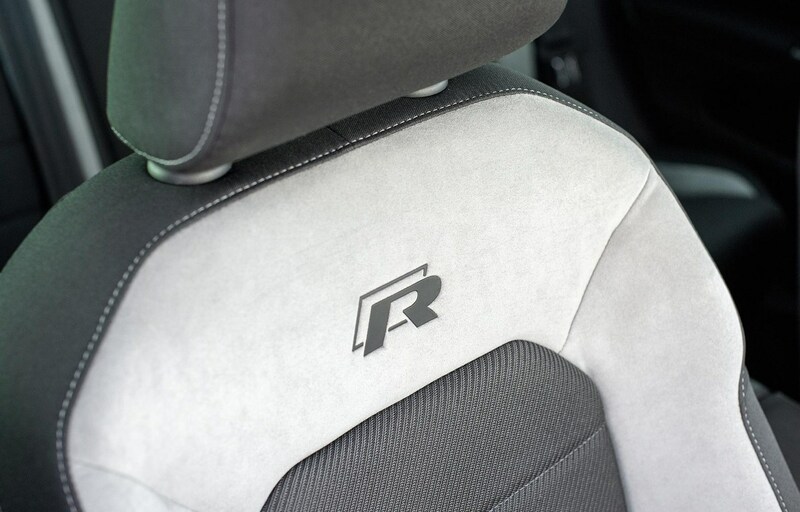 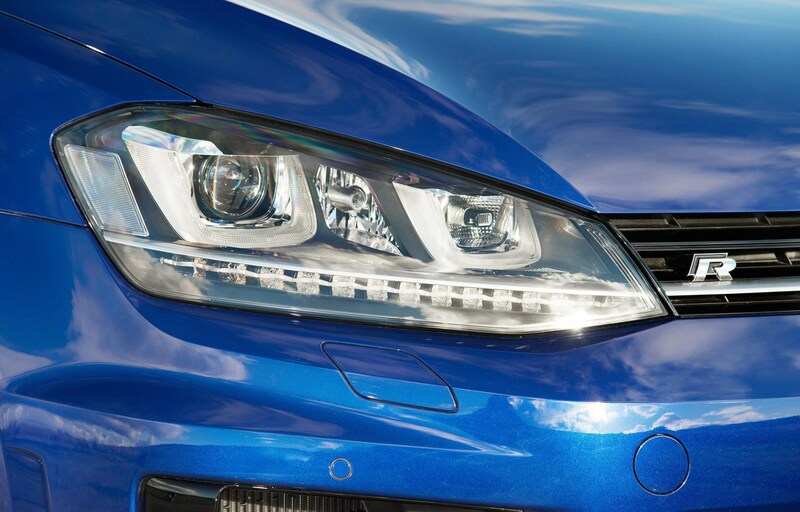 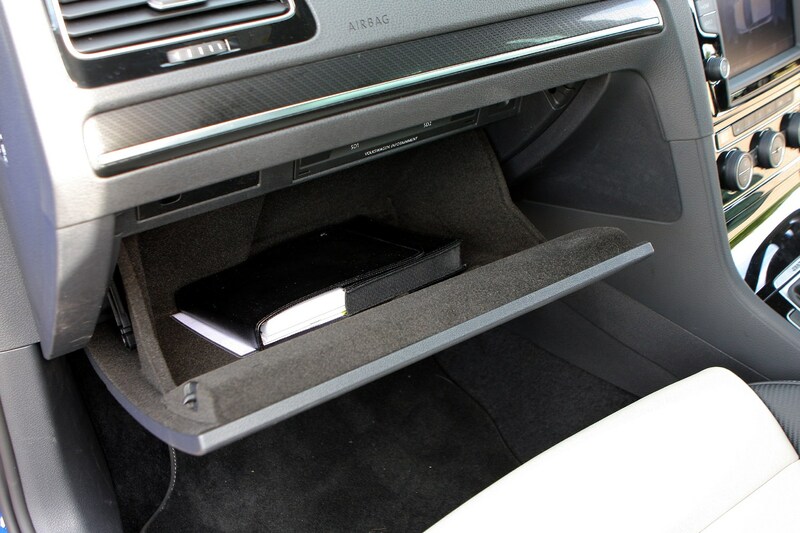 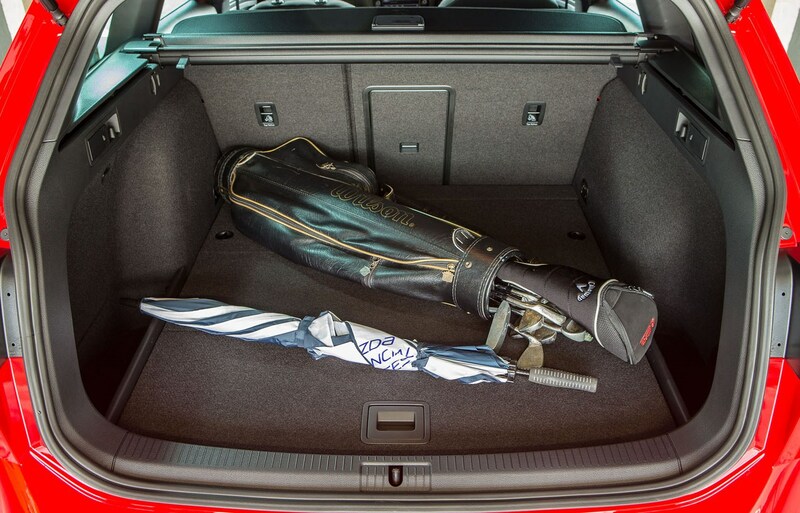 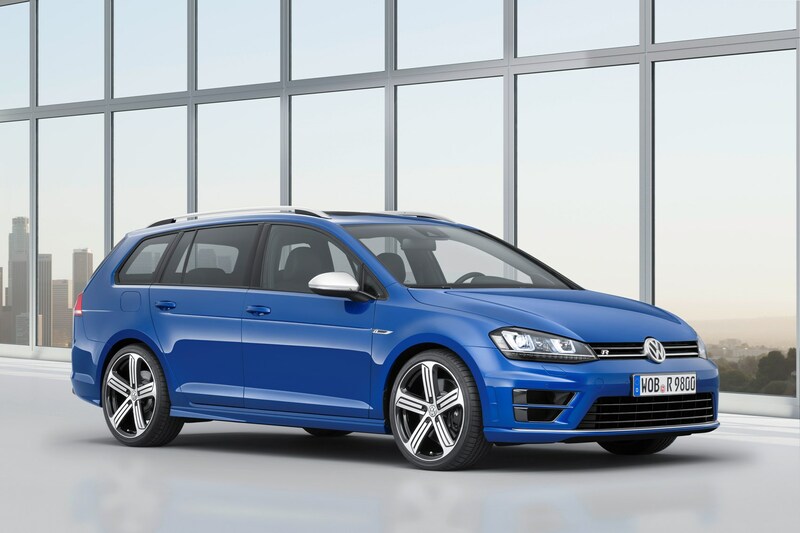 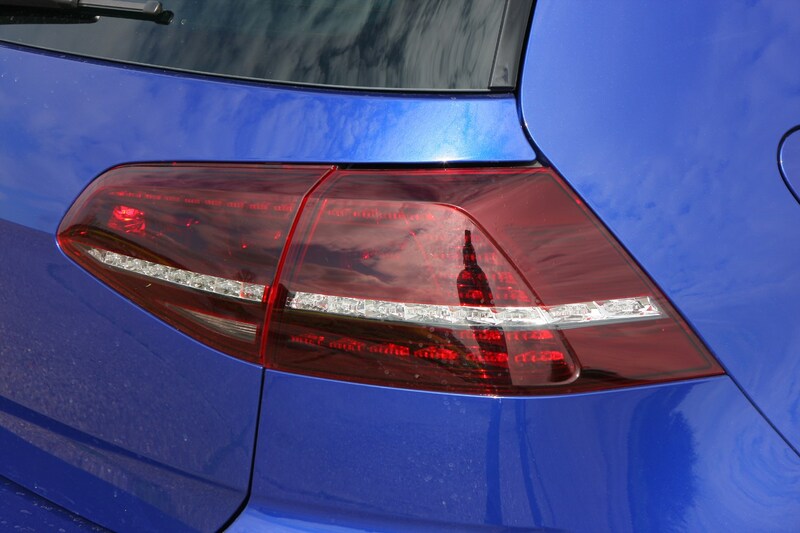 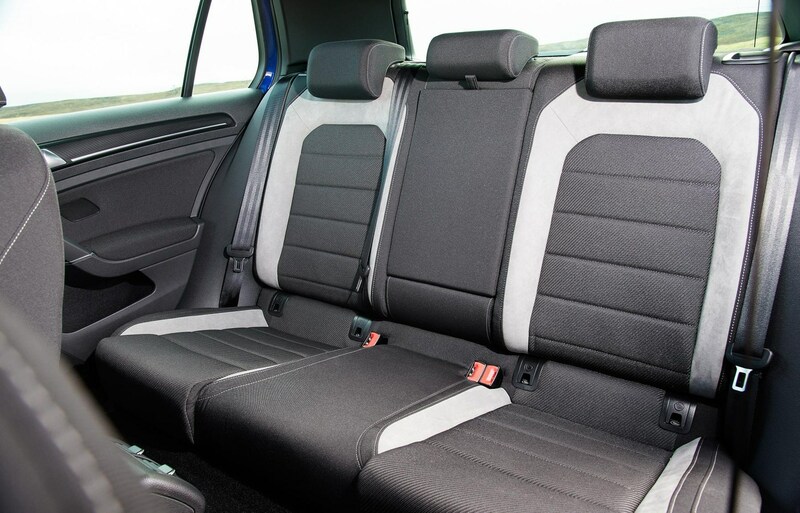 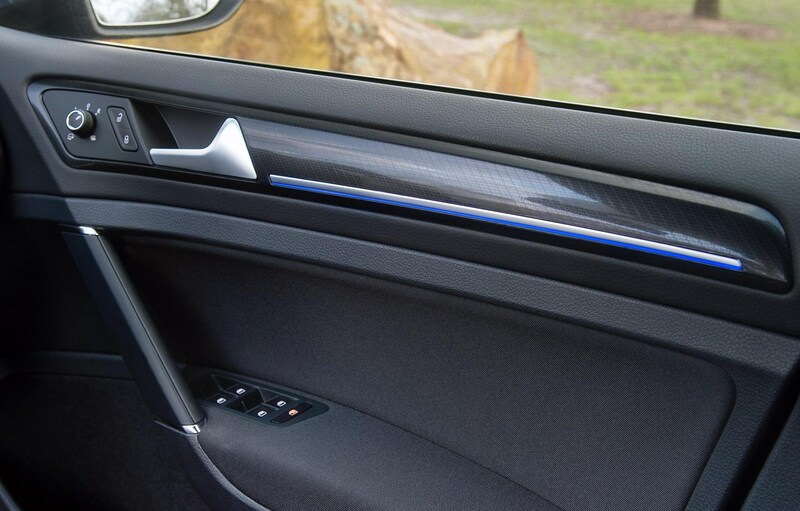 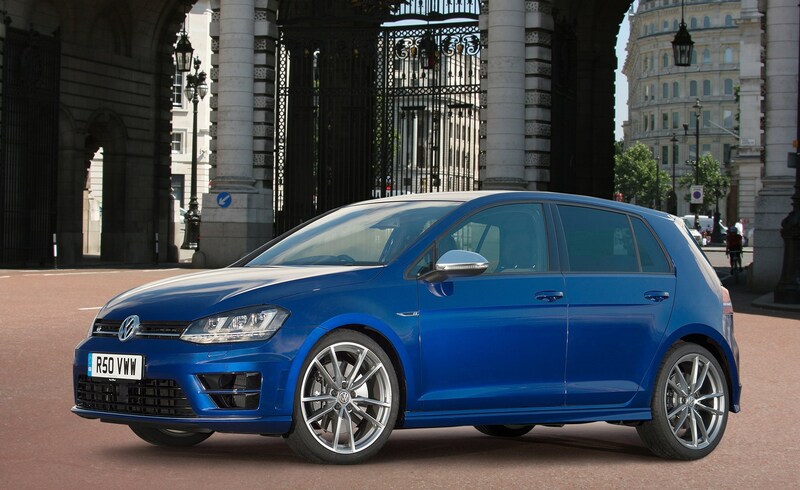 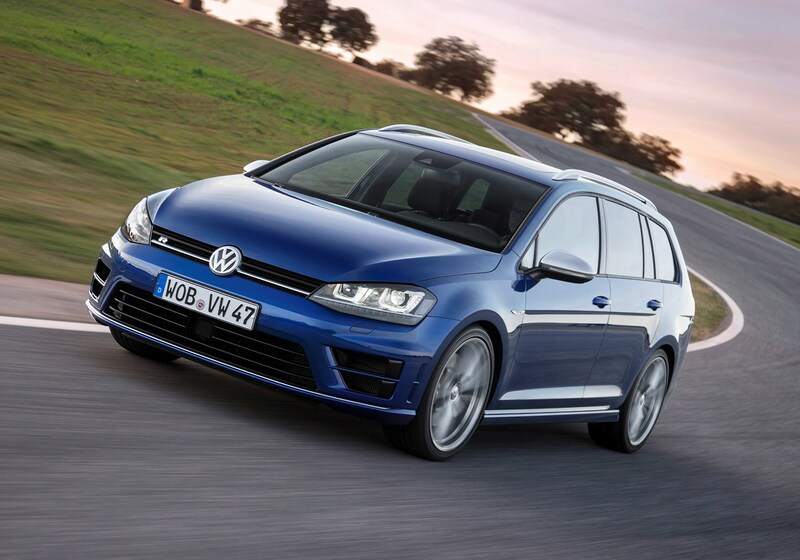 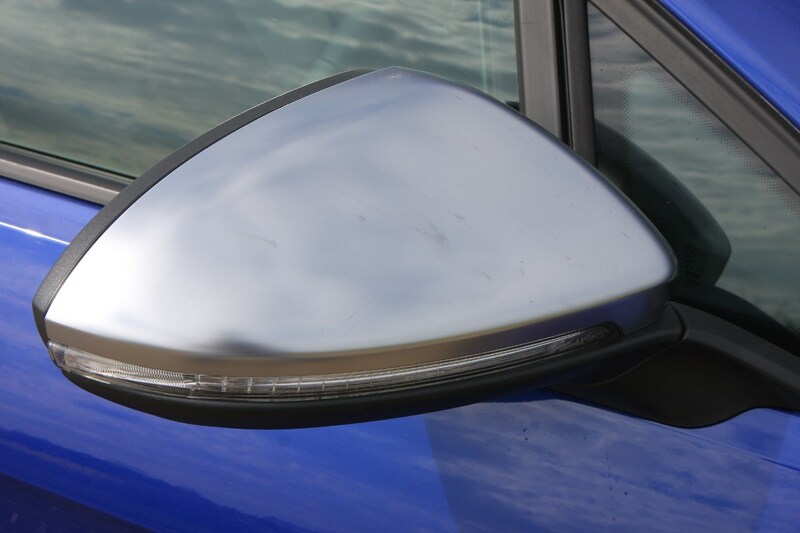 Where the Golf R makes its mark is in the combination of comfort and speed. 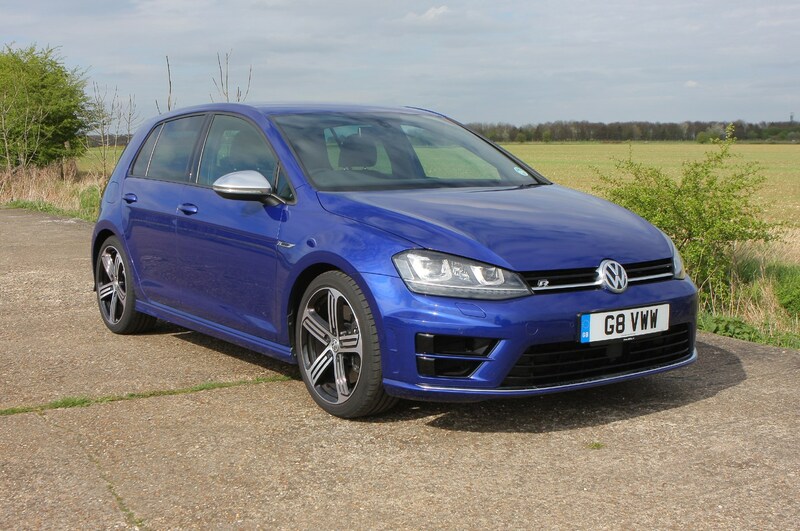 It’s a focused car which is hugely capable point-to-point, its excellent chassis and strong brakes meaning you can harness a lot of the engine’s power. 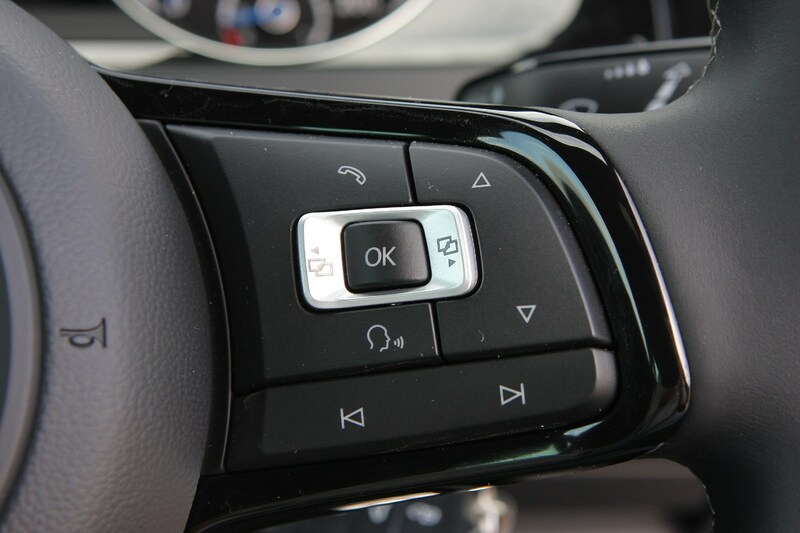 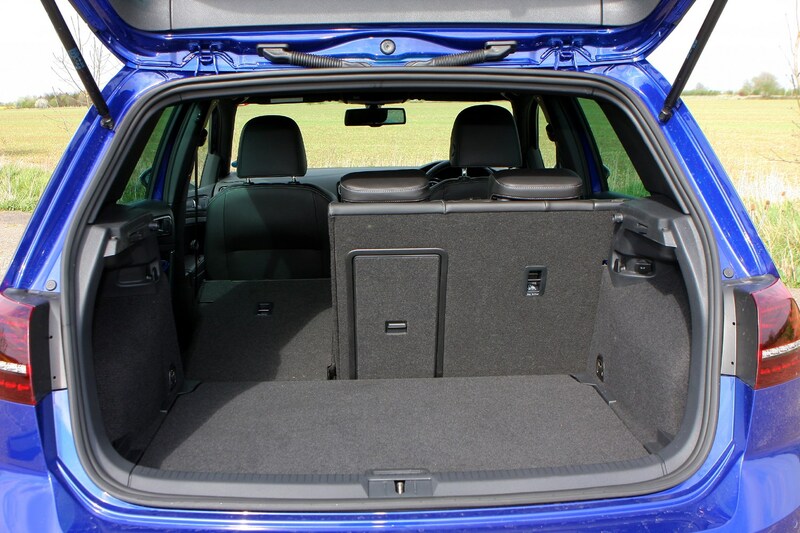 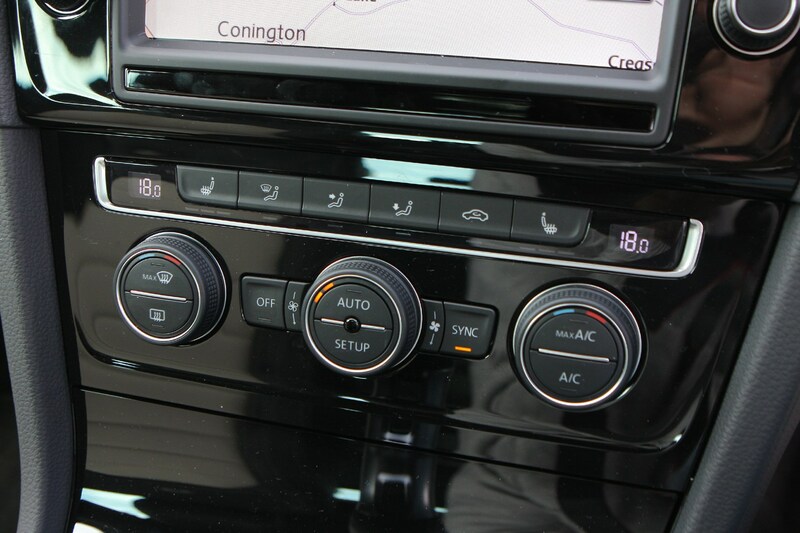 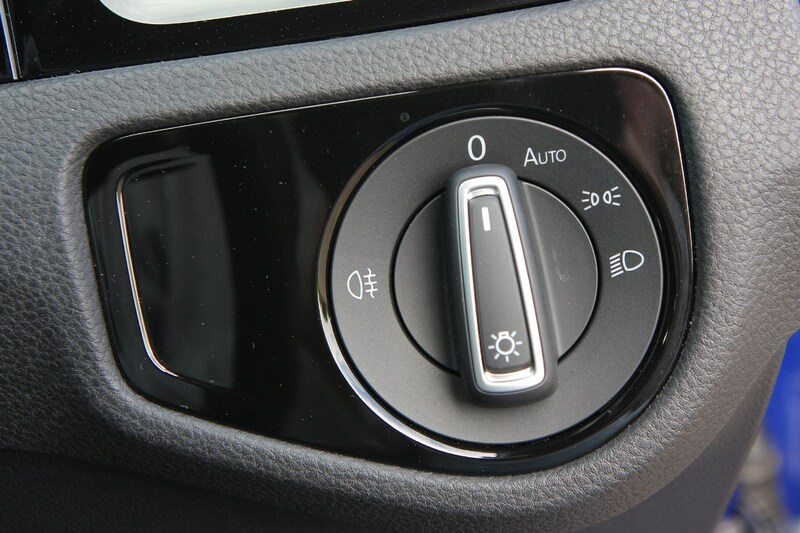 But thanks to optional adaptive dynamics it can also be quite comfortable too. 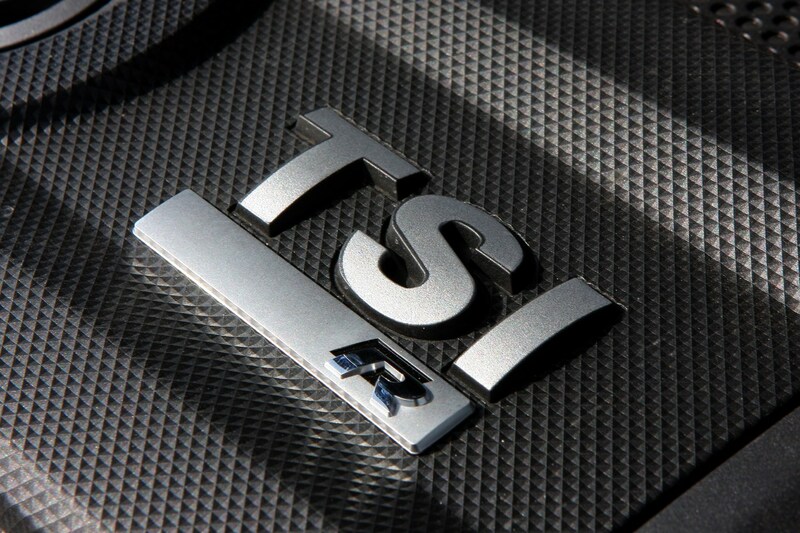 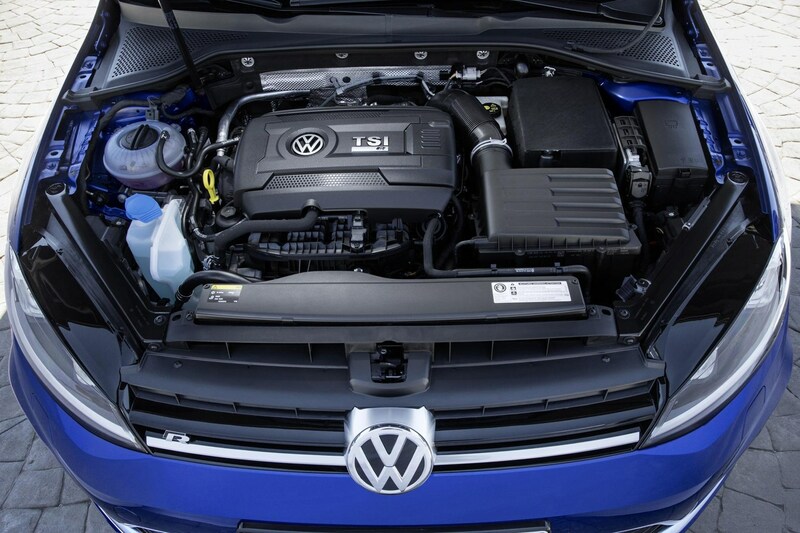 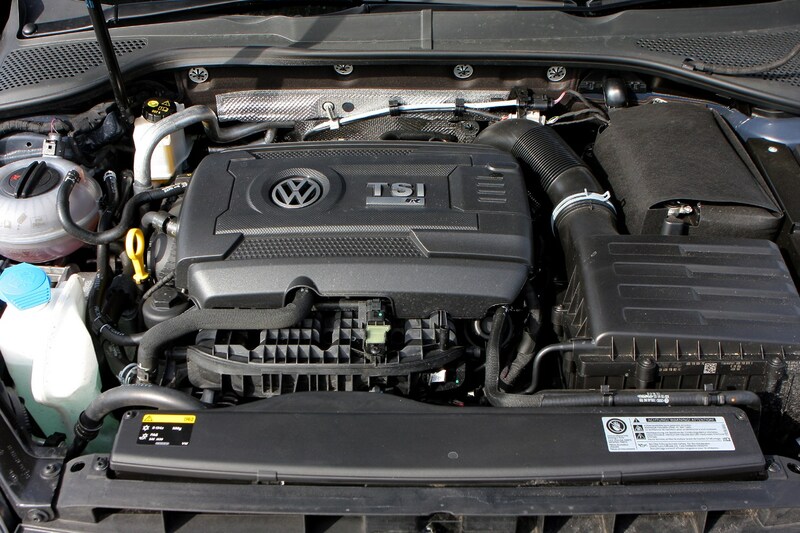 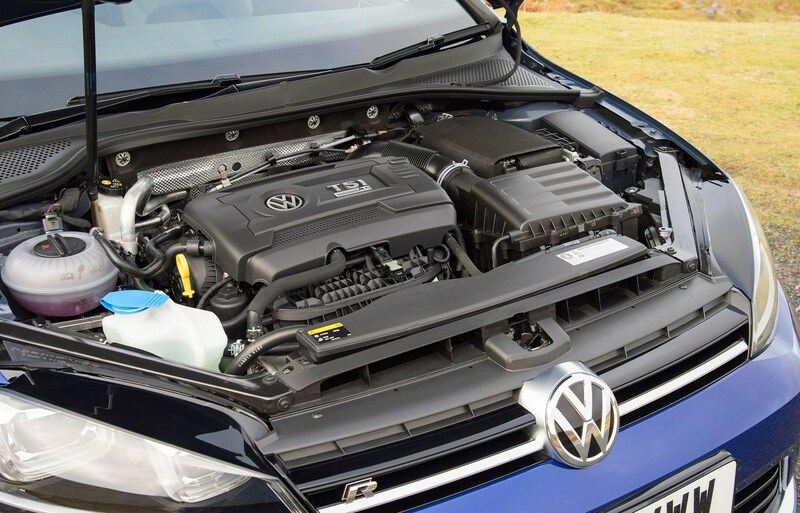 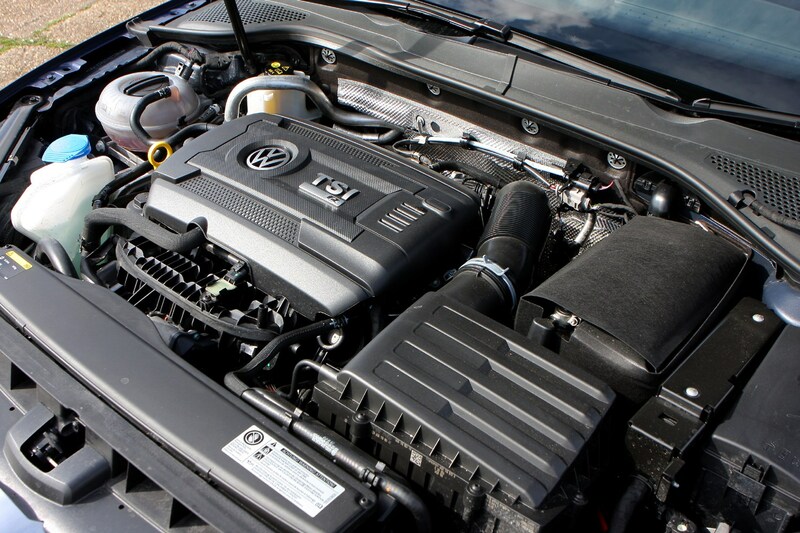 Like the S3 Sportback, the Golf R is powered by a brilliant 2.0-litre turbocharged petrol engine. 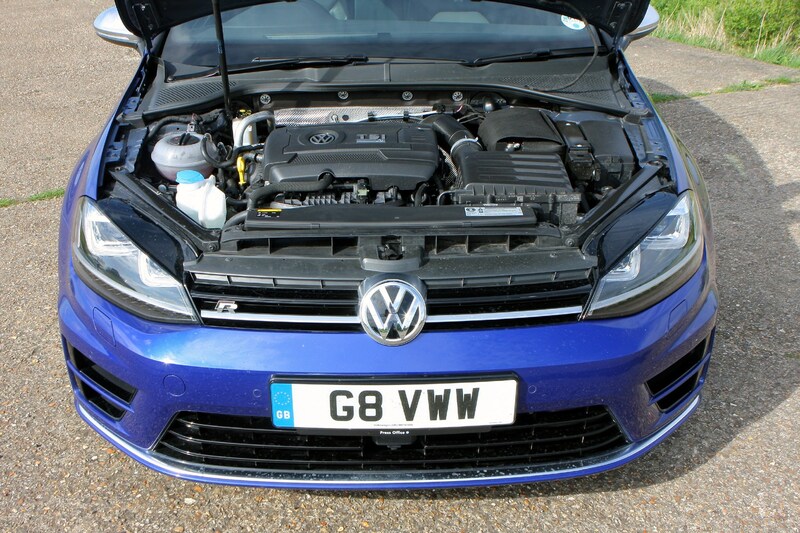 It’s the same basic unit as found under the bonnet of the Golf GTI, but tuned to return nearly 300bhp and 380Nm of torque. 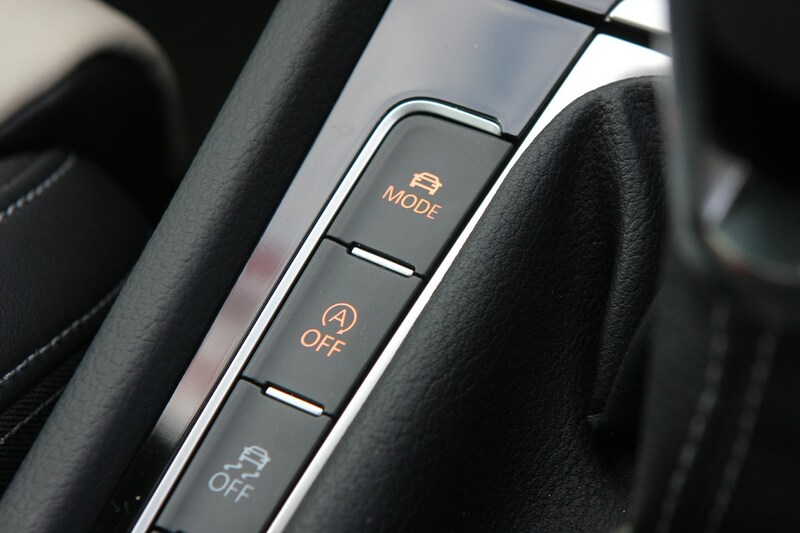 This power is sent to the front wheels, but thanks to a clever ‘Haldex’ all-wheel drive system it can also send up to 100 percent of its power to the rear wheels if it detects the front ones spinning. 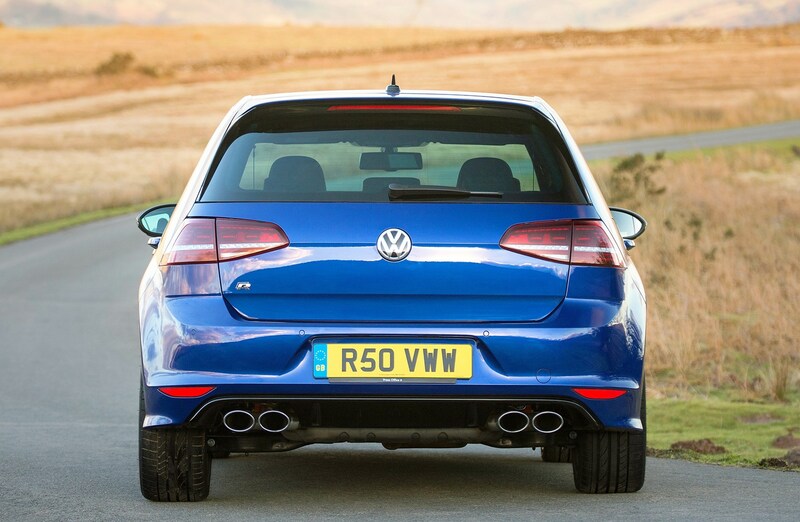 This effectively makes the R four-wheel drive, and the amount of sheer grip on offer is incredible. 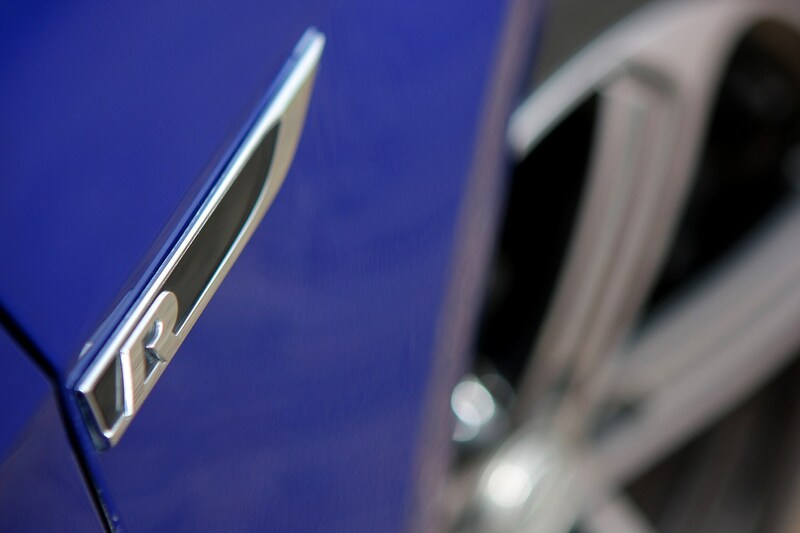 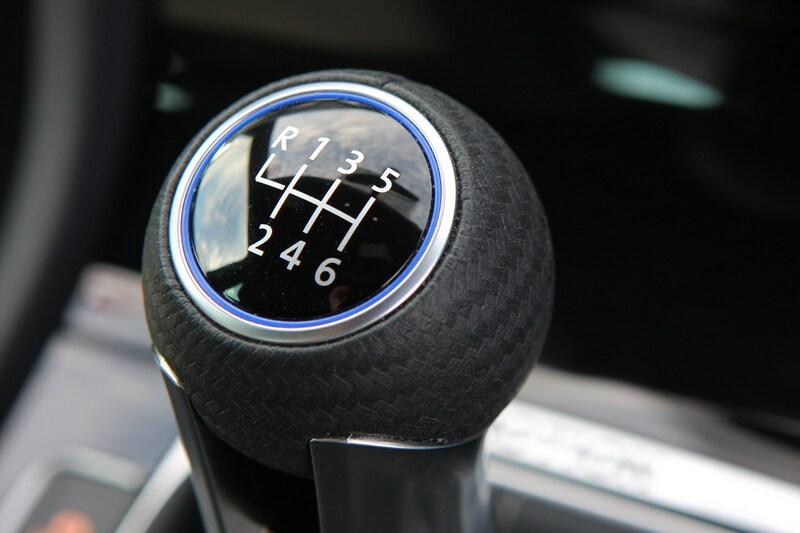 You’ve got a choice of six-speed manual or six-speed ‘DSG’ automatic gearboxes. 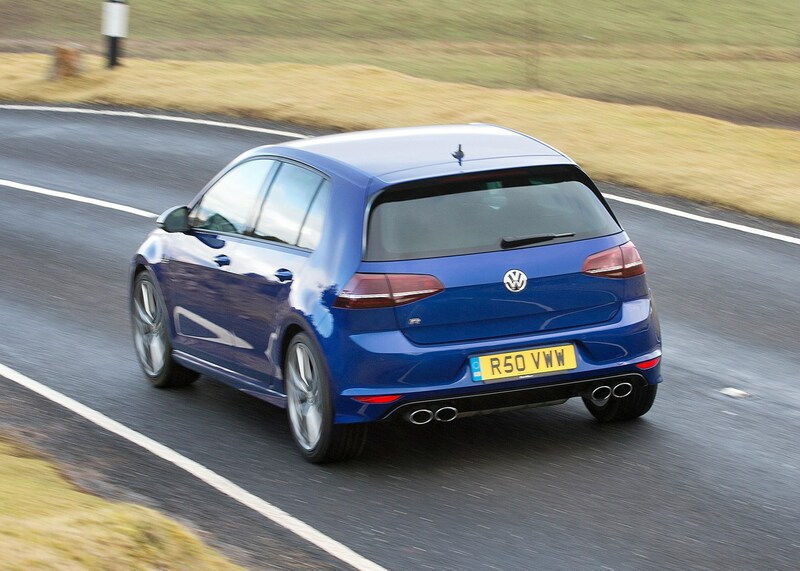 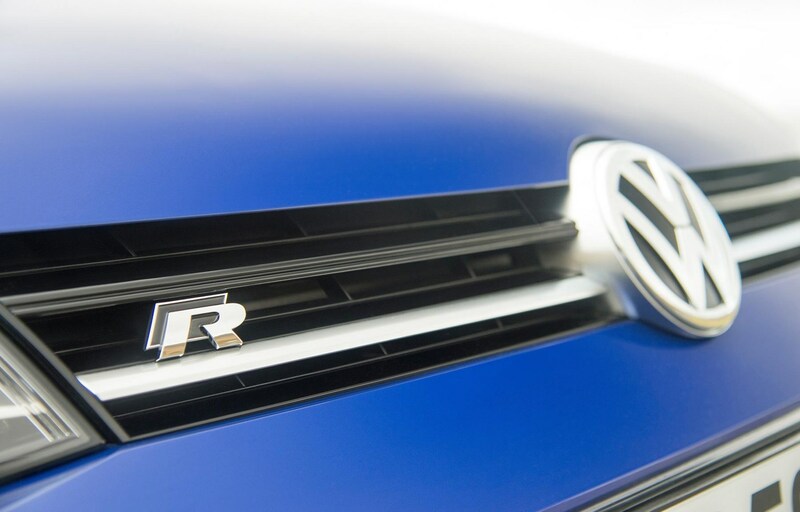 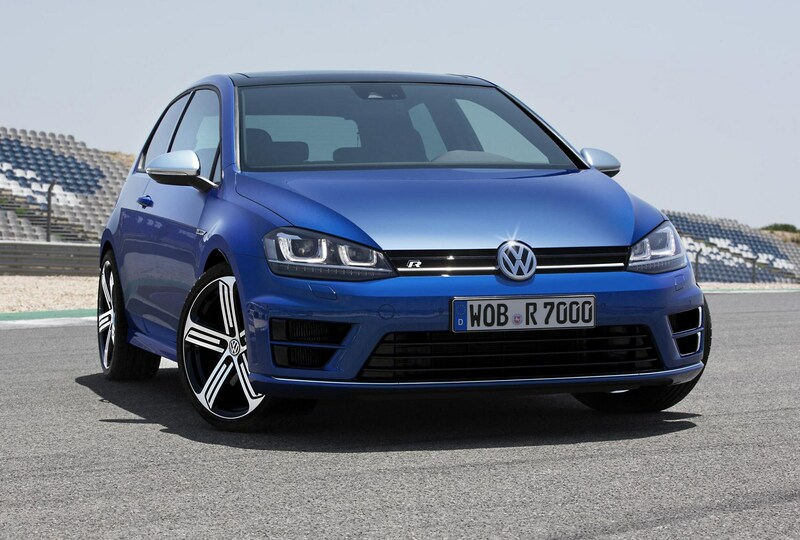 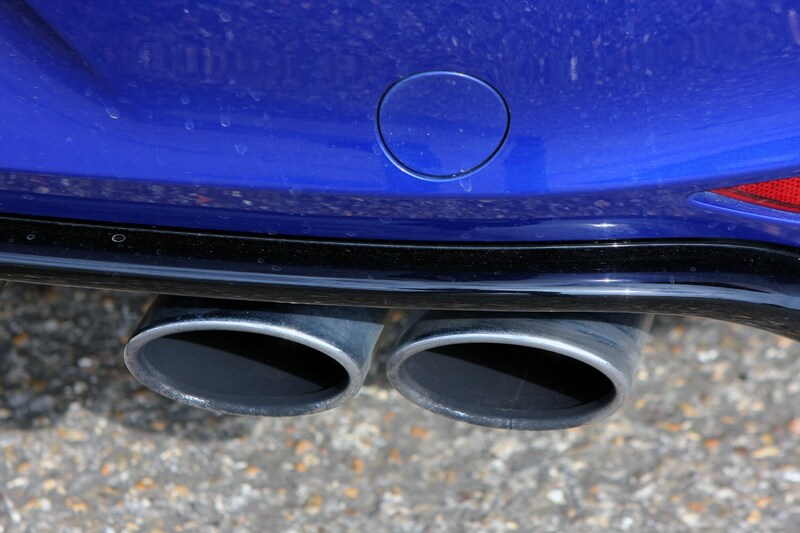 The quickest Golf R is the auto’, which will cover 0-62mph in 4.9 seconds. 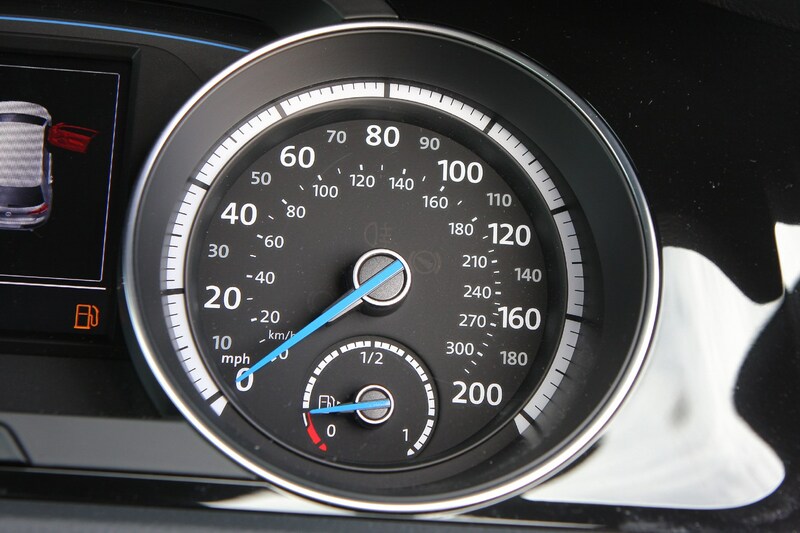 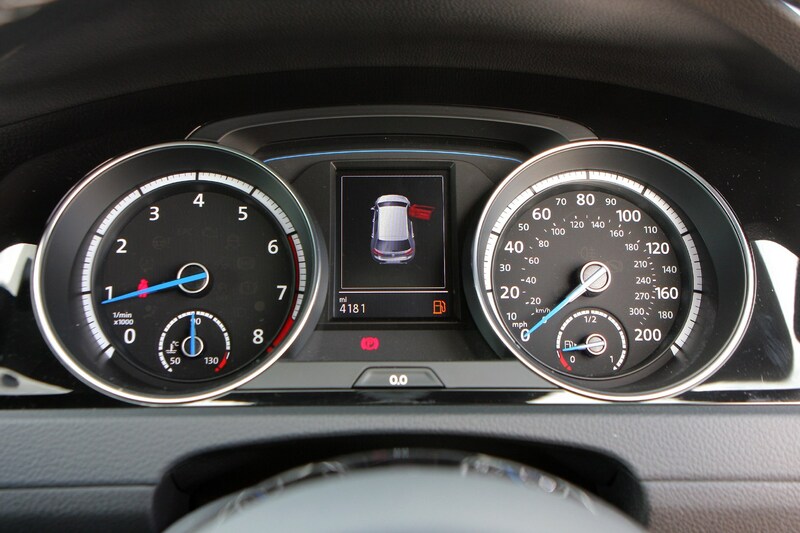 The manual is considerably slower, taking 5.3 seconds to hit the same speed from standstill. 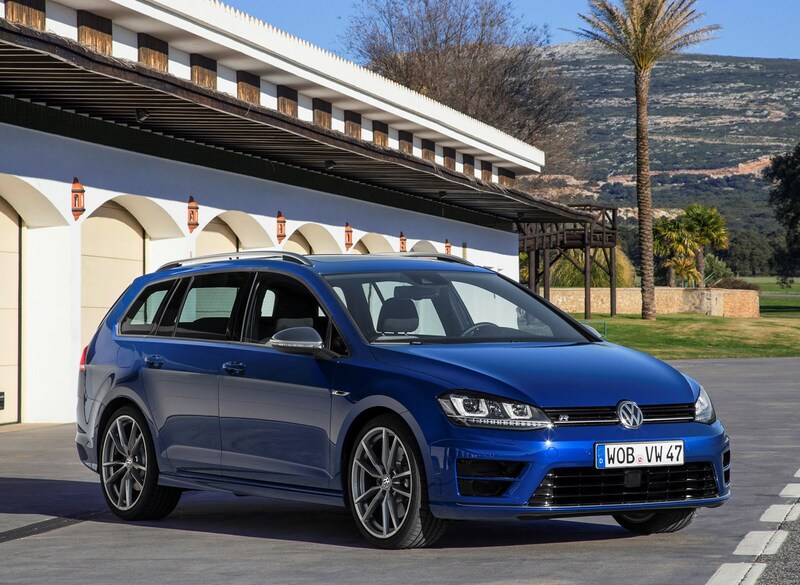 While it’s faster than a lot of sports cars, its performance credentials run in parallel with very agreeable running costs. 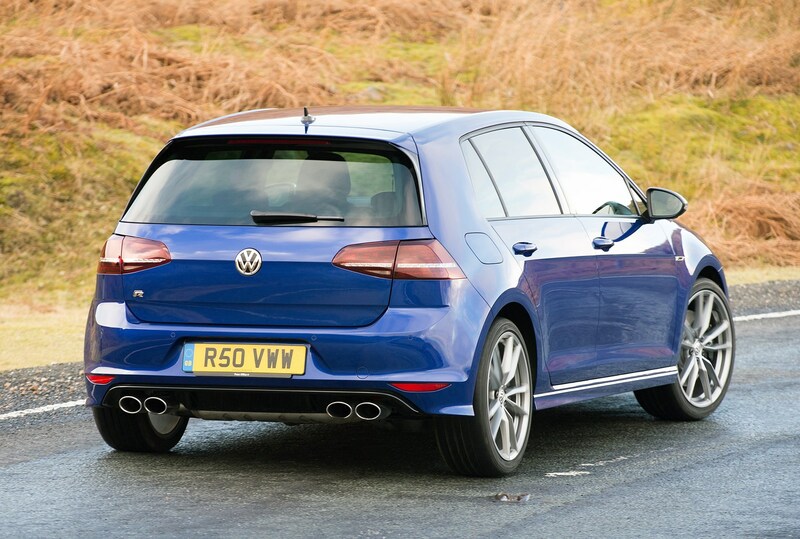 Fuel economy is a claimed average of 40.9mpg, while CO2 emissions as low as 159g/km mean it doesn’t cost too much to tax, either. 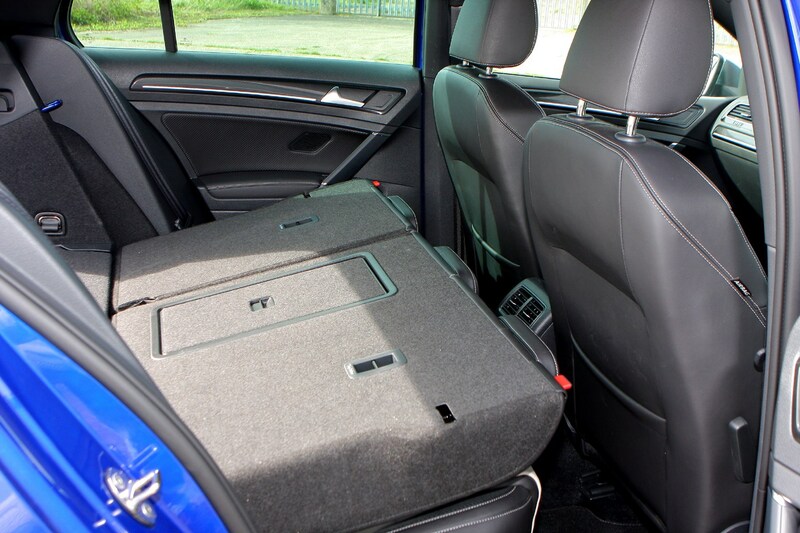 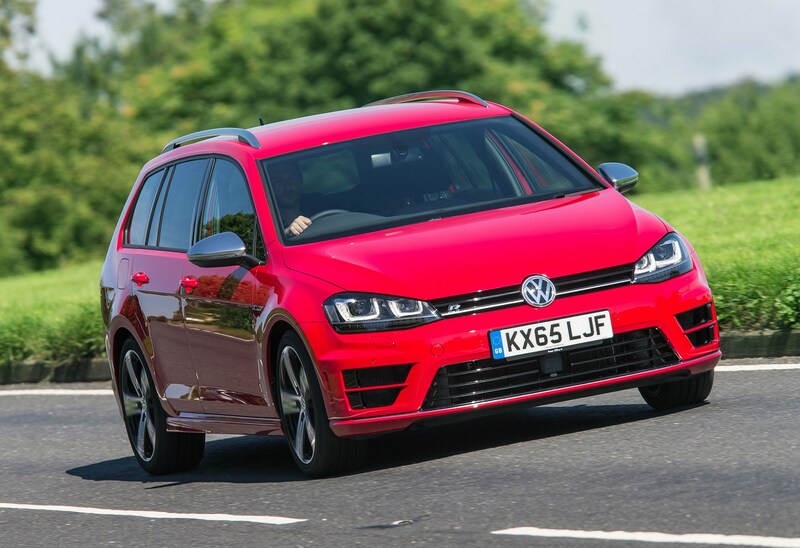 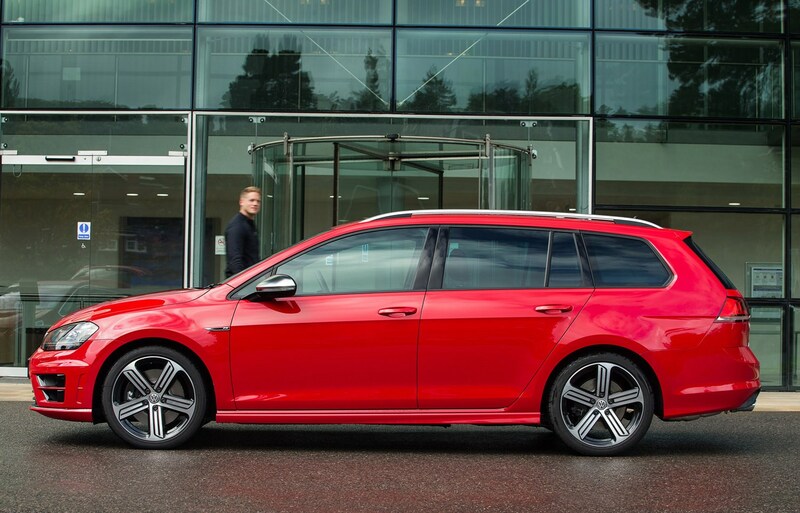 Being the flagship of the Golf range, you can expect a lot of kit on your R. It’s possible to bump the price up quite considerably too as there’s quite a list of optional extras available. 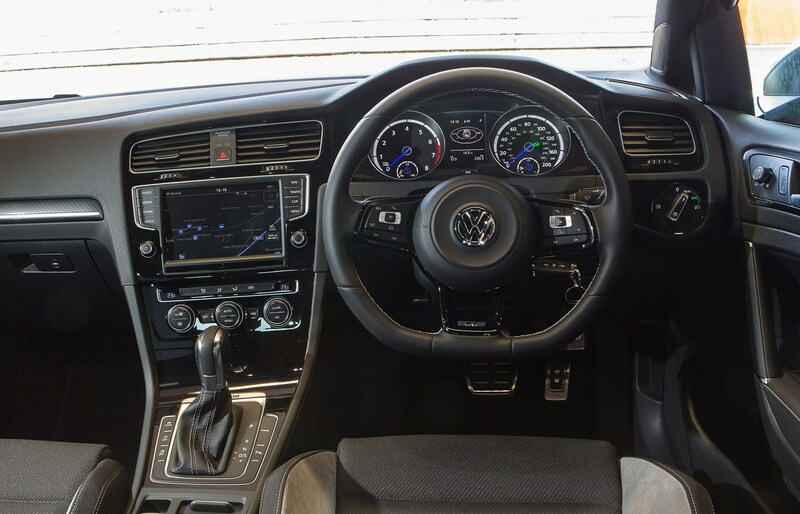 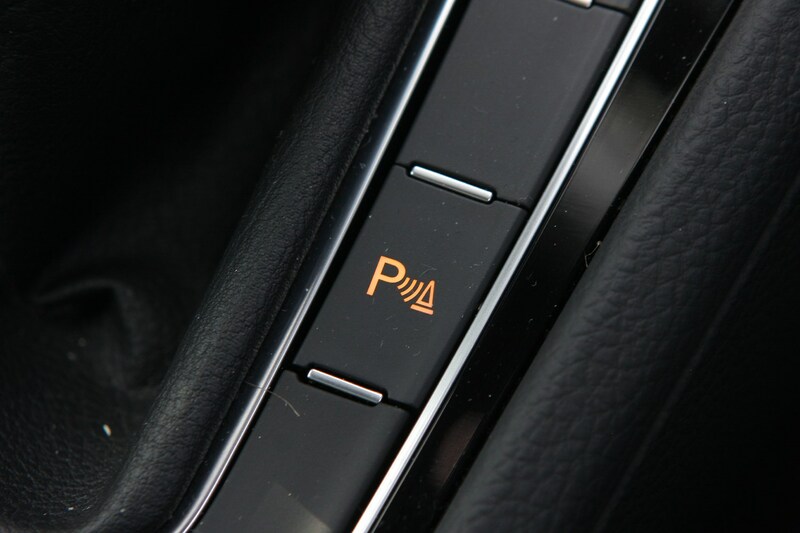 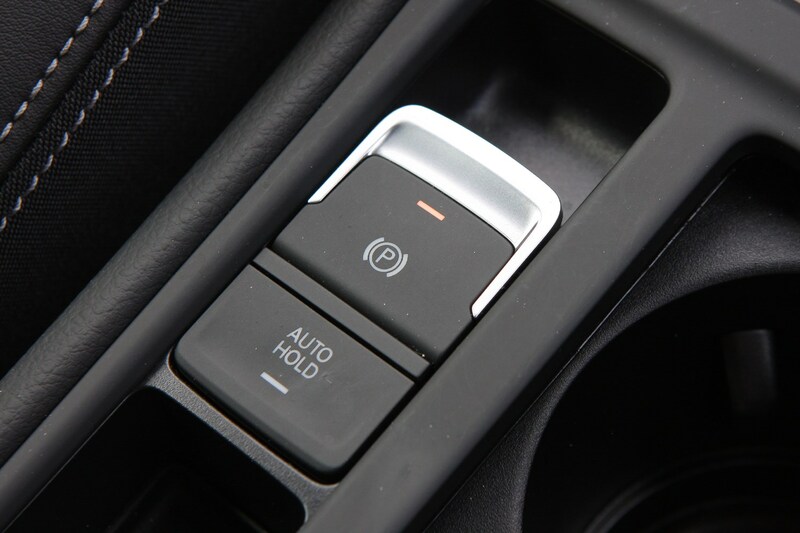 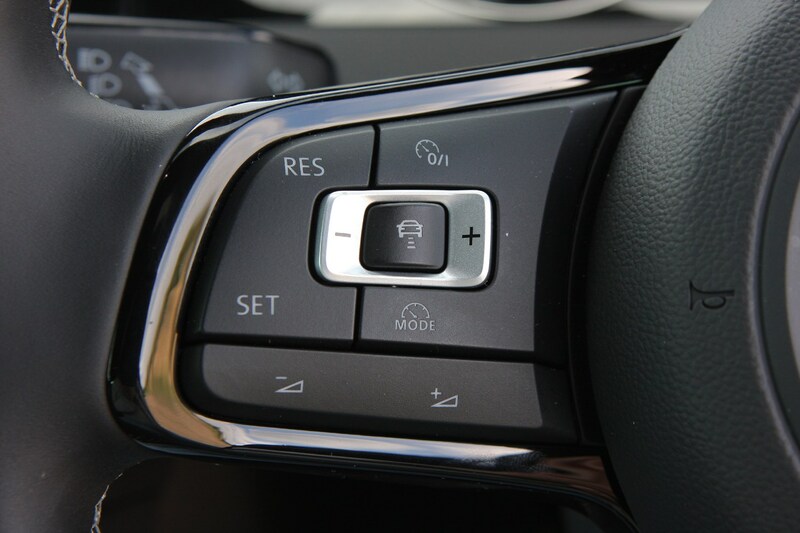 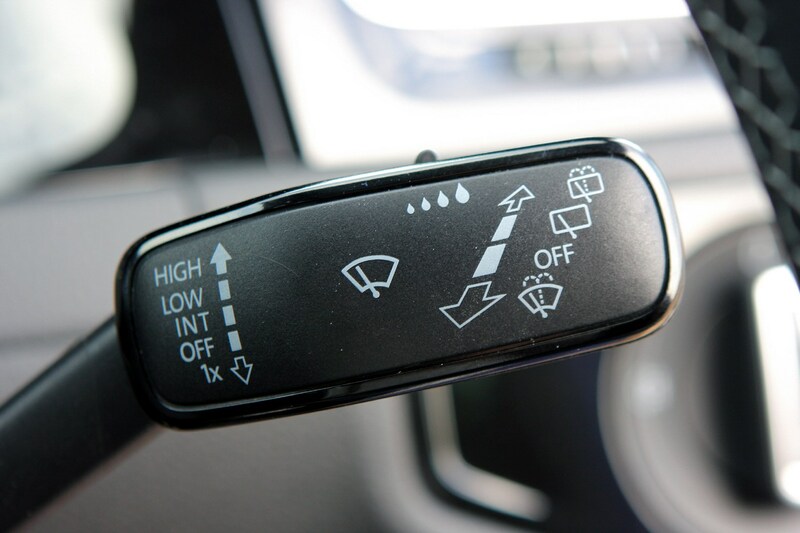 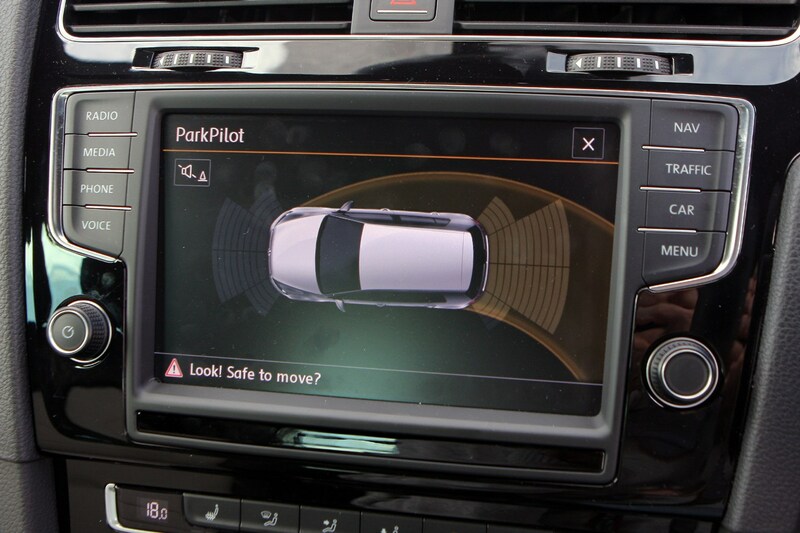 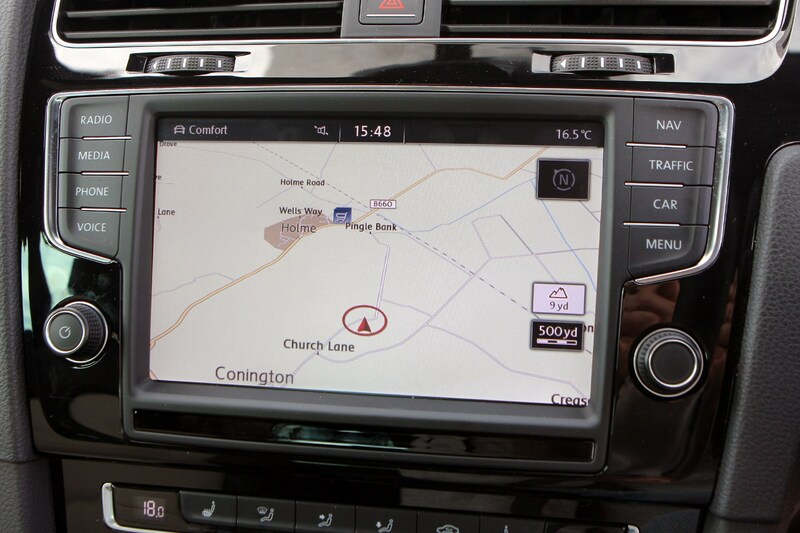 Included in the car’s basic list price are highlights such as adaptive cruise control, a touchscreen multimedia system, parking sensors and a race-inspired fabric interior. 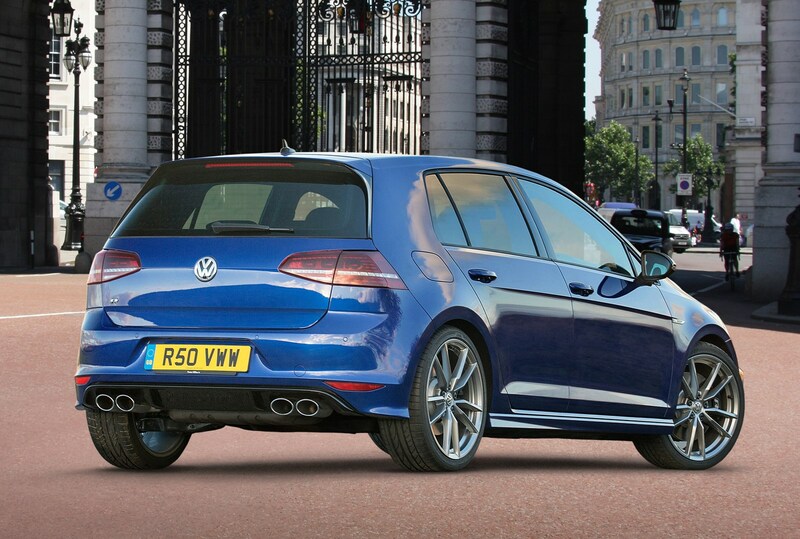 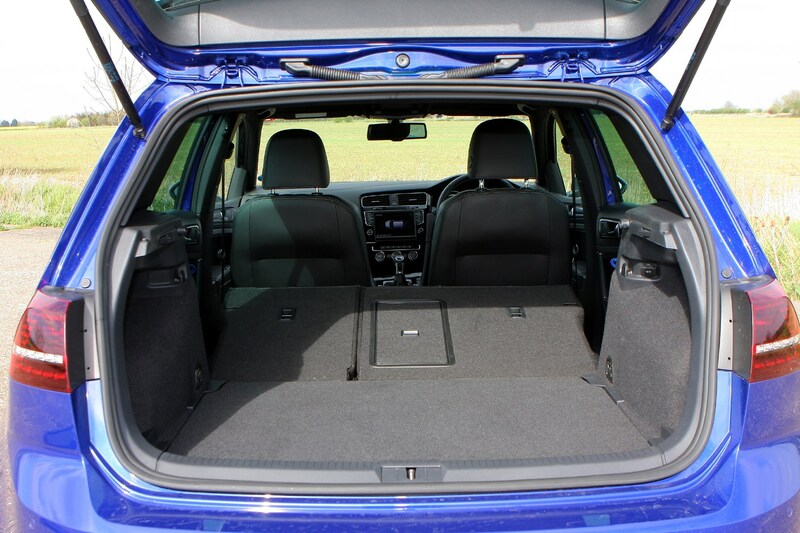 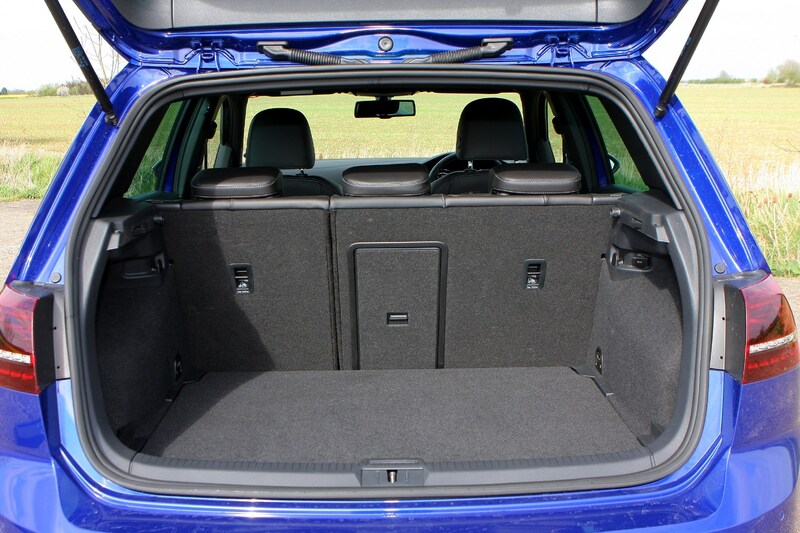 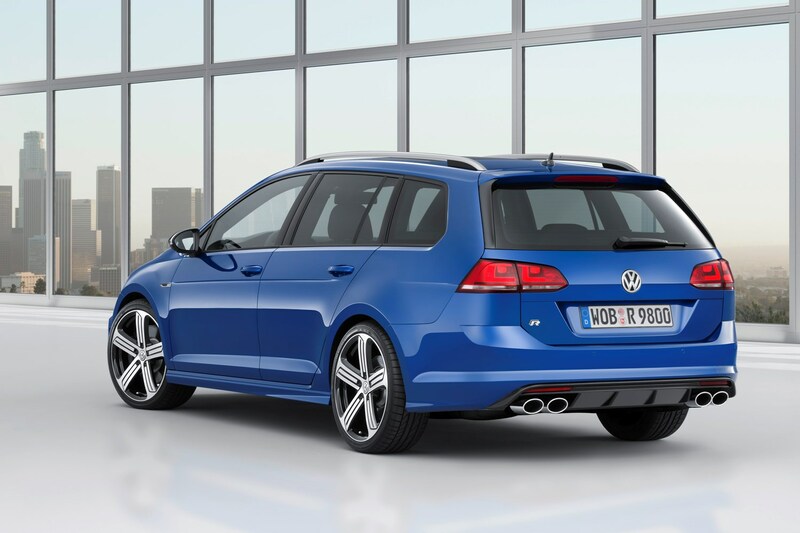 To separate you from lesser Golfs, you also get that fetching body kit and those bespoke 18-inch alloy wheels. 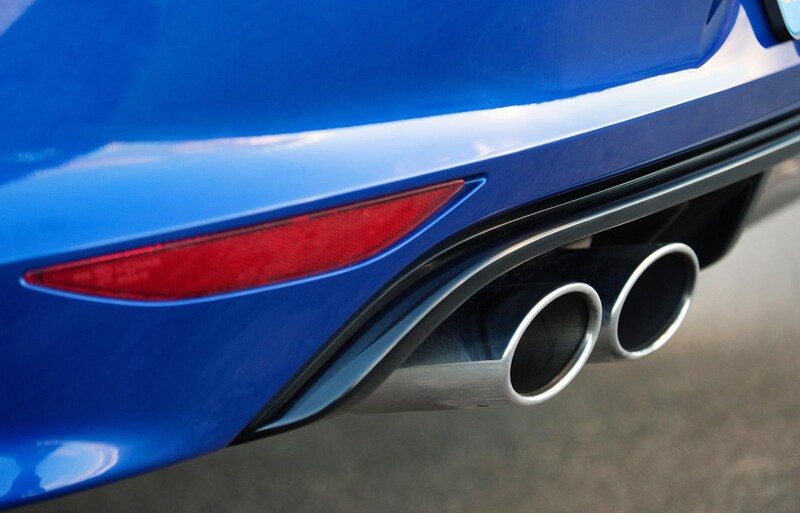 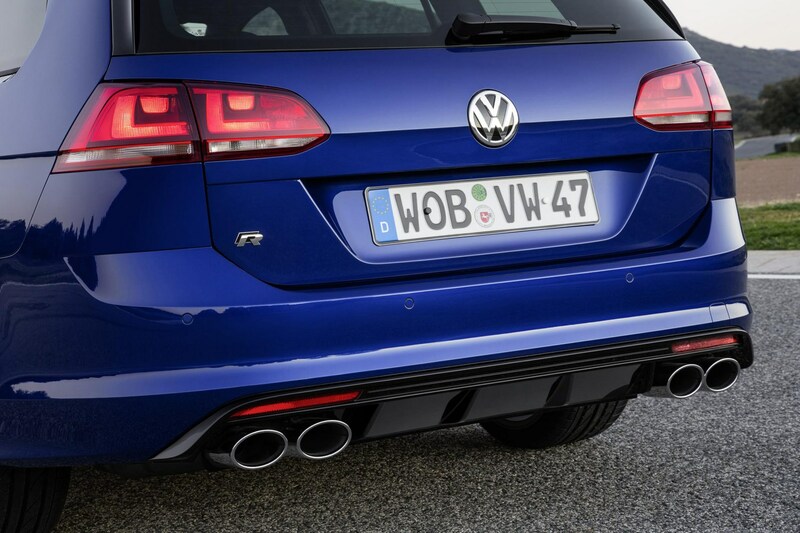 You’ll be able to spot (and hear) an R from the rear thanks to the four exhausts, a pair poking from underneath each side of the rear bumper. 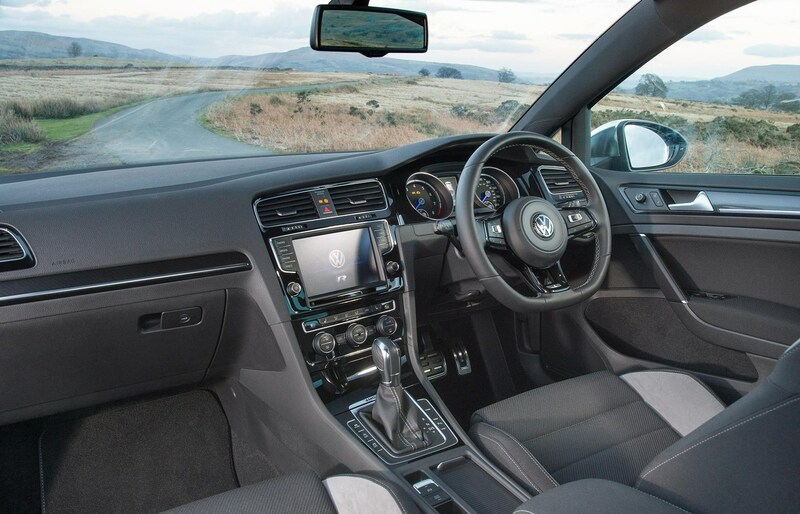 Optionally available is a selection of interior trims, sat-nav, larger 19-inch wheels, and of course a number of paint finishes. 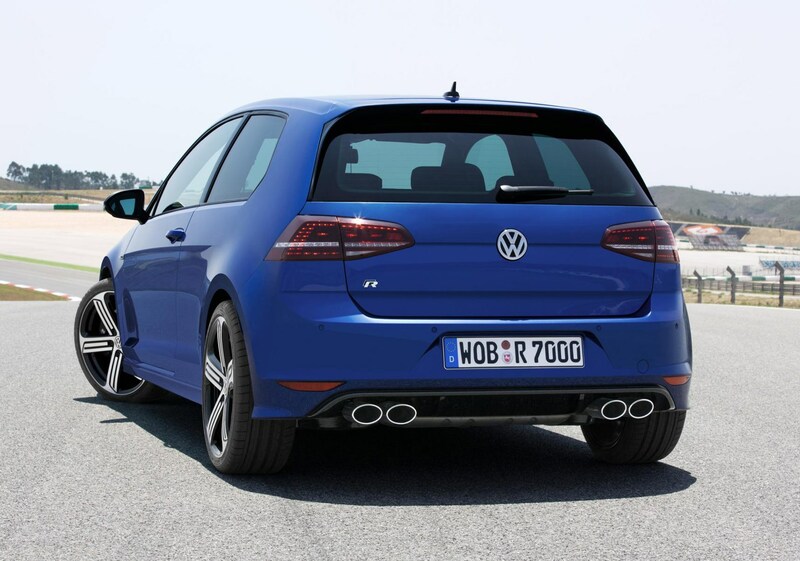 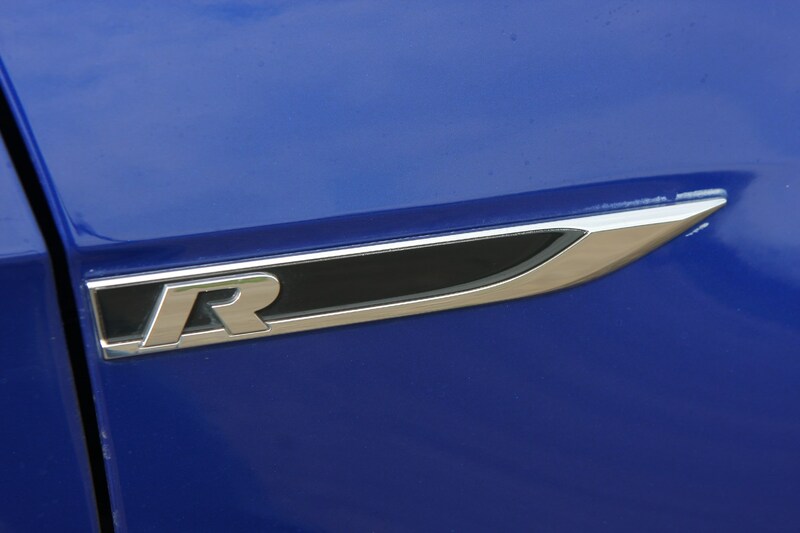 While we think the R is a worthy rival to the S3 Sportback and the M135i, its bigger problem is closer to home. 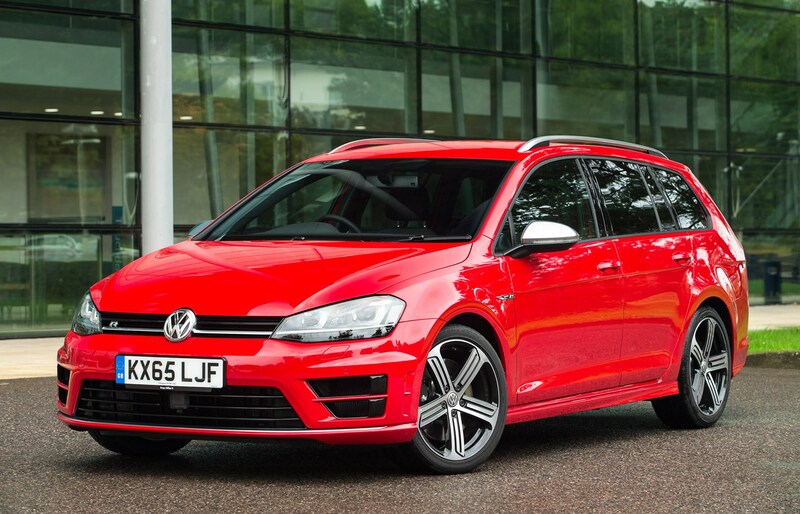 It’s a hefty £4,000 more than the already excellent Golf GTI. 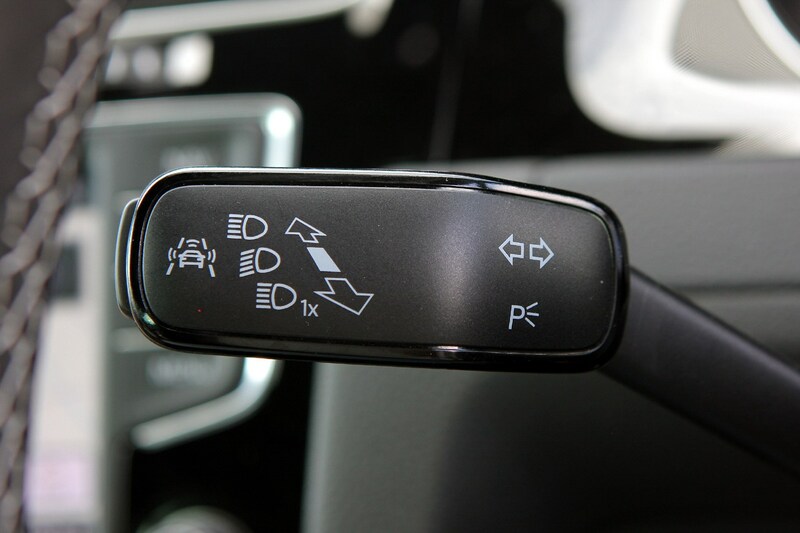 For most drivers that’s going to be difficult to justify. 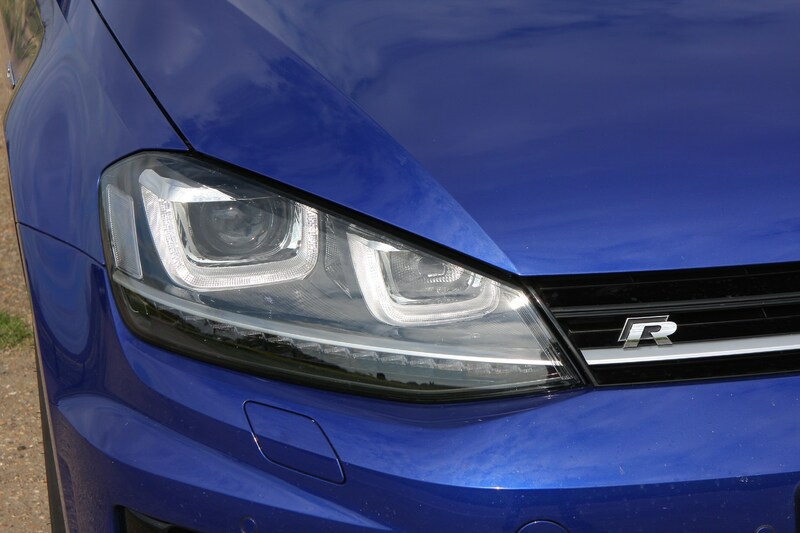 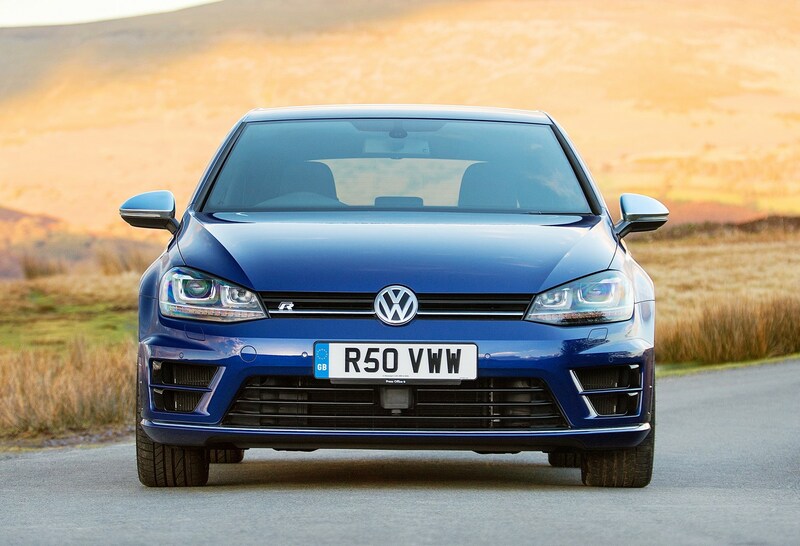 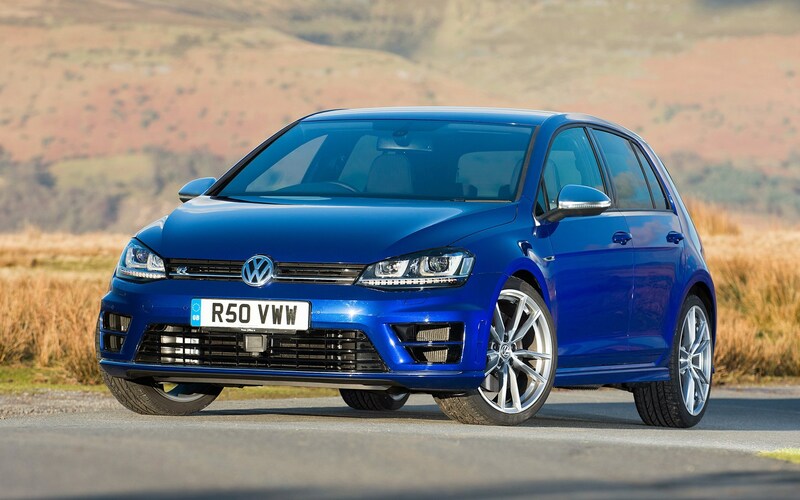 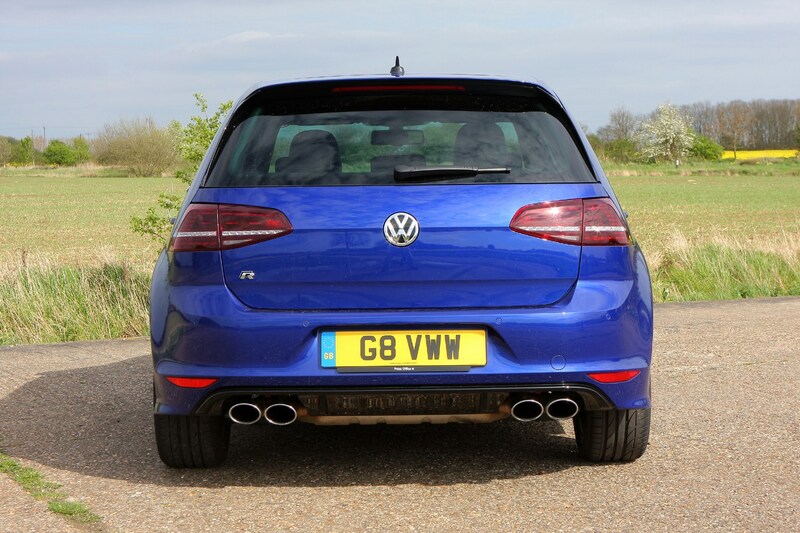 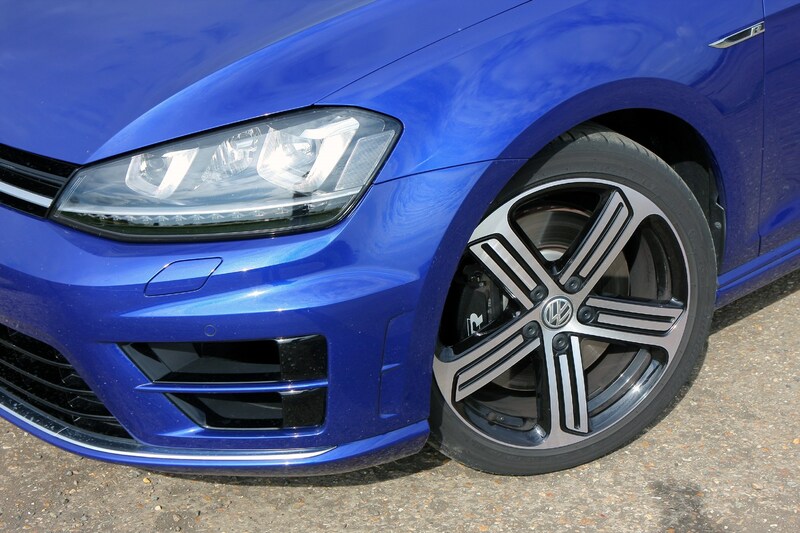 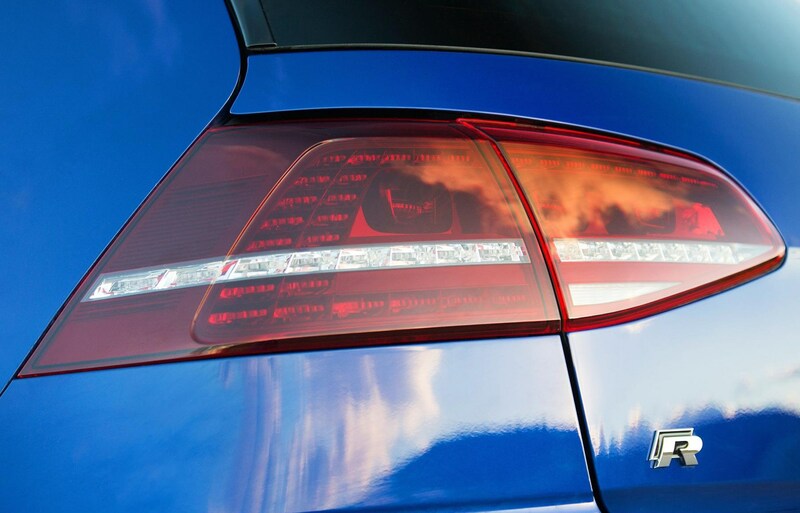 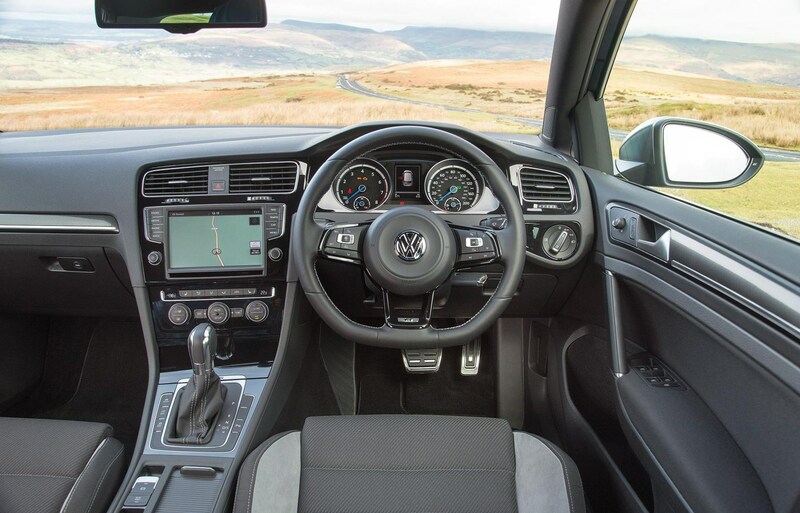 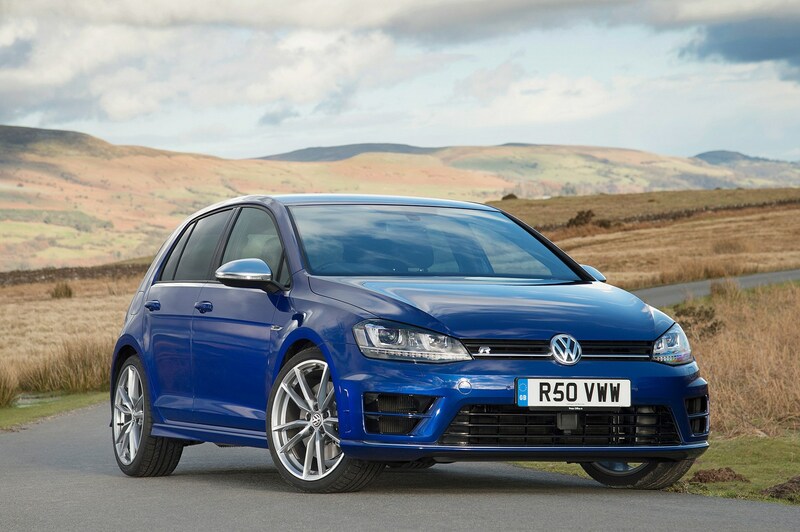 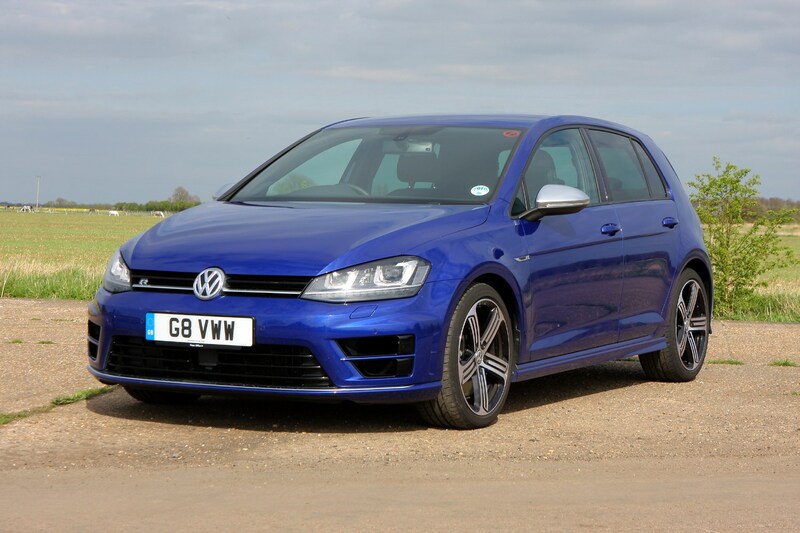 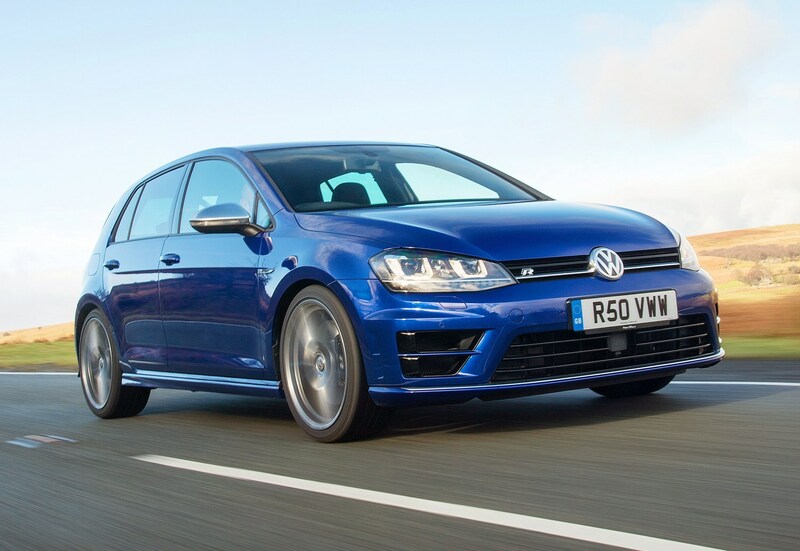 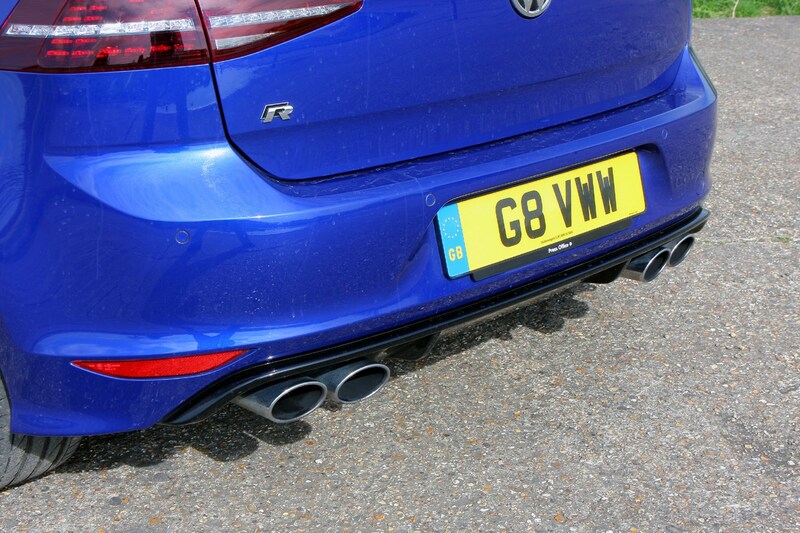 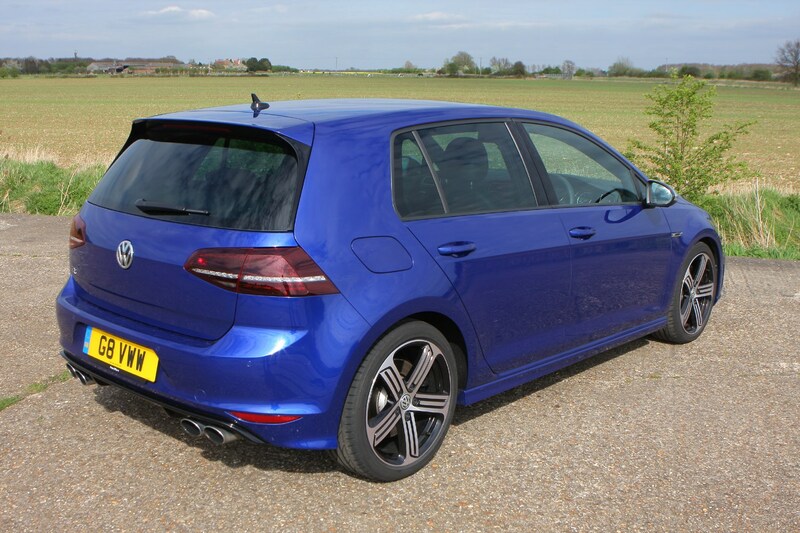 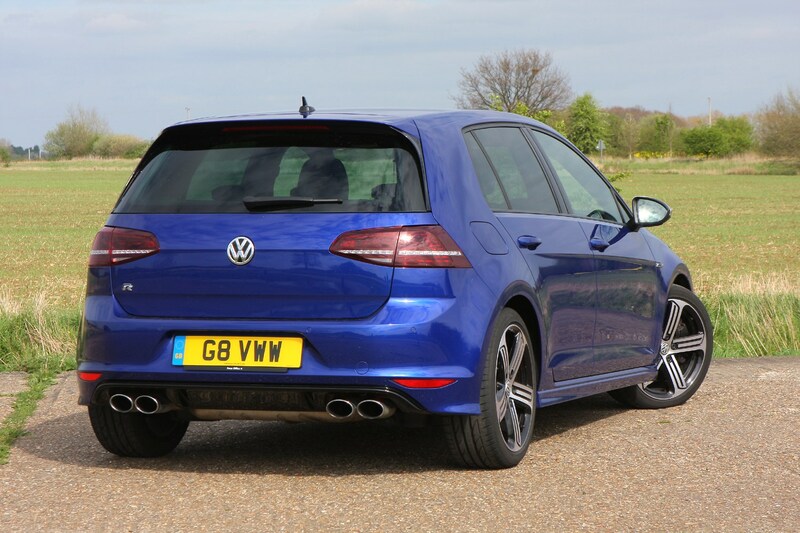 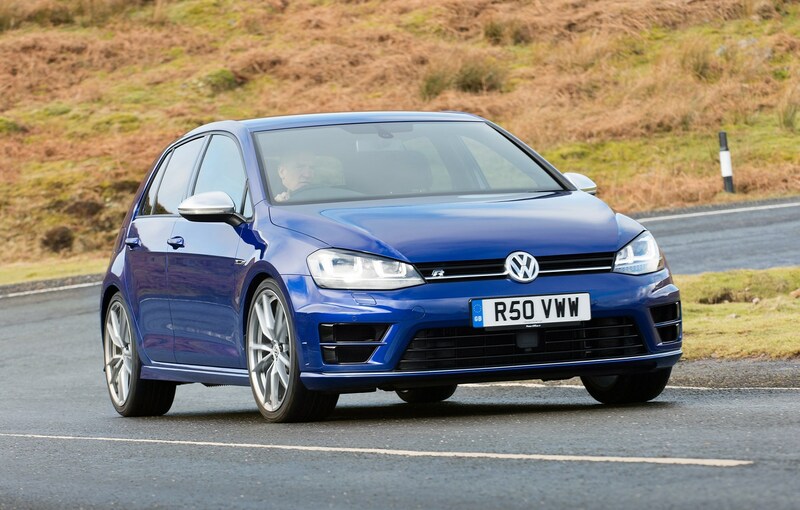 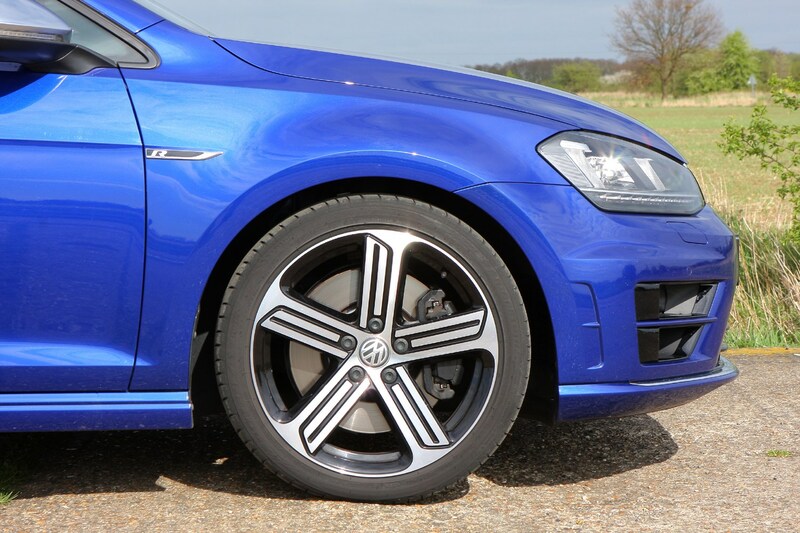 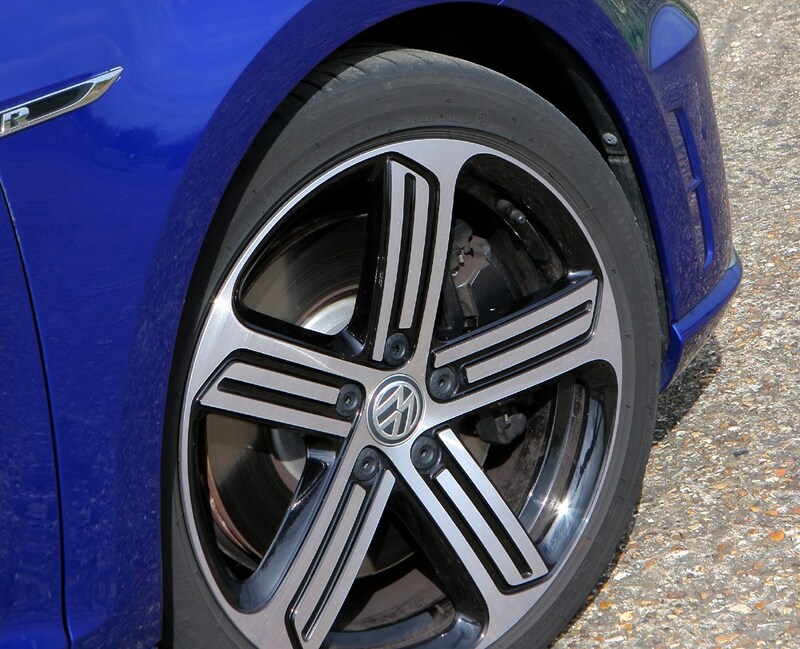 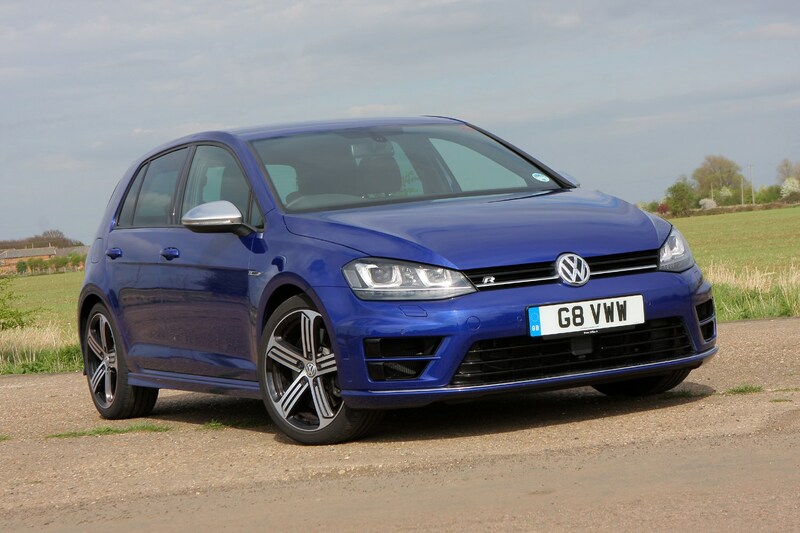 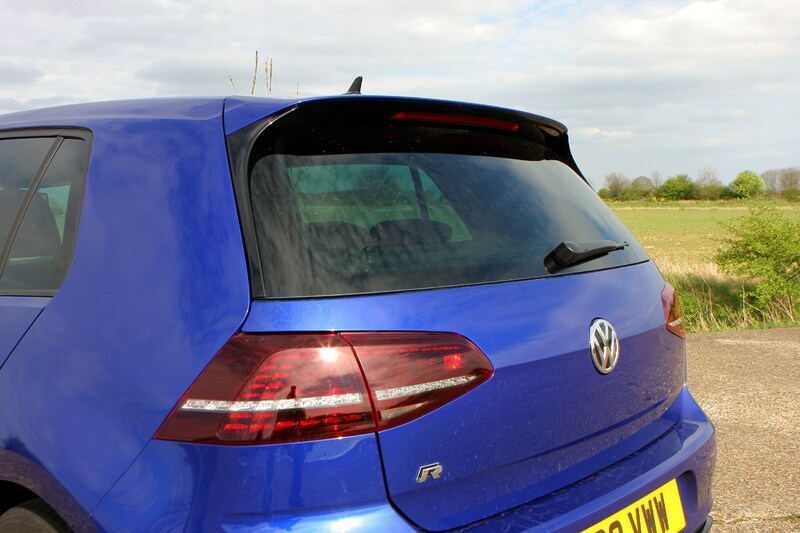 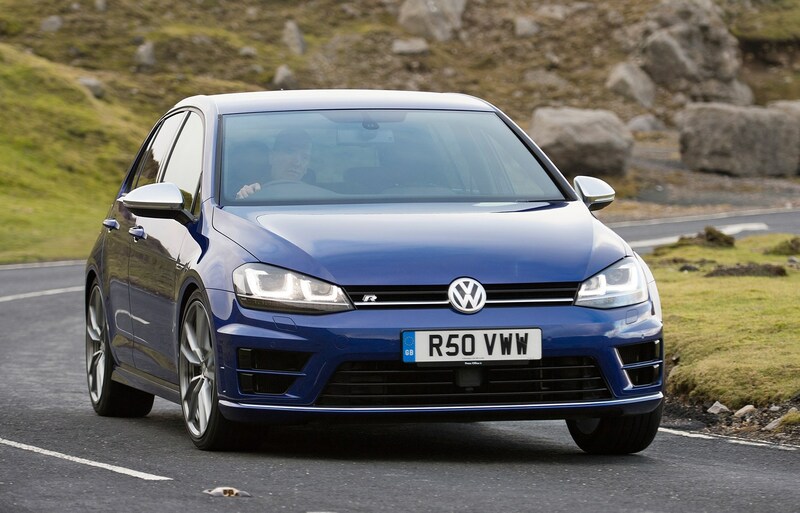 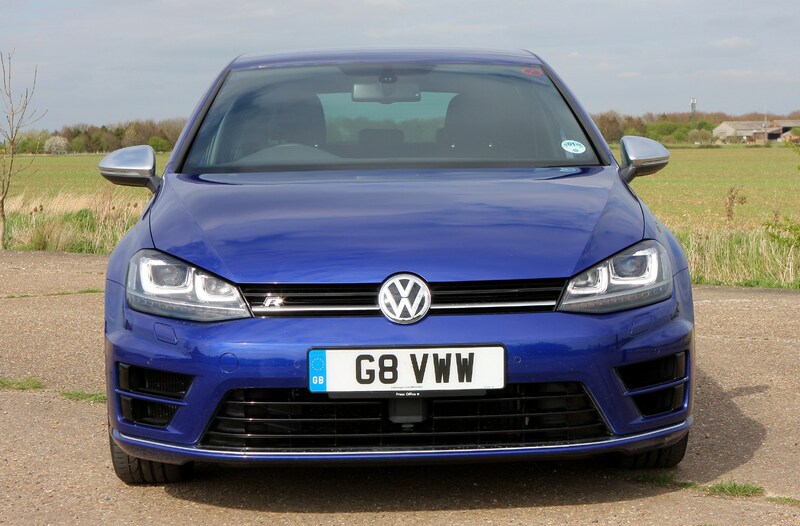 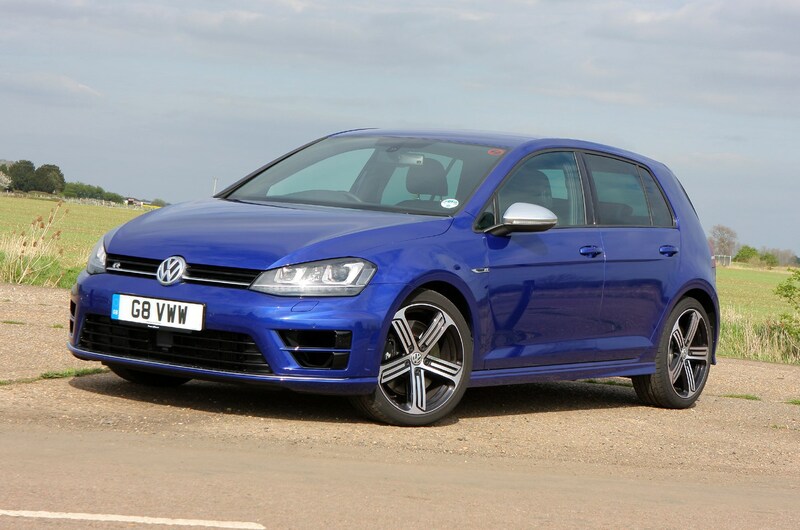 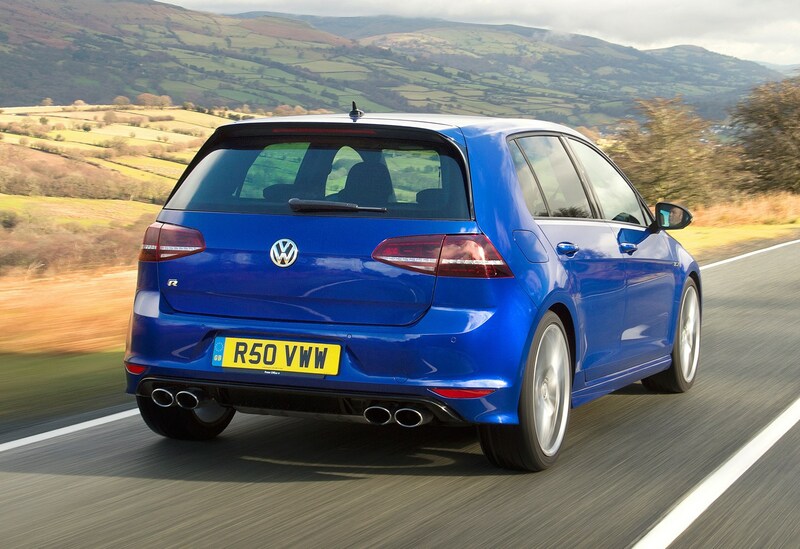 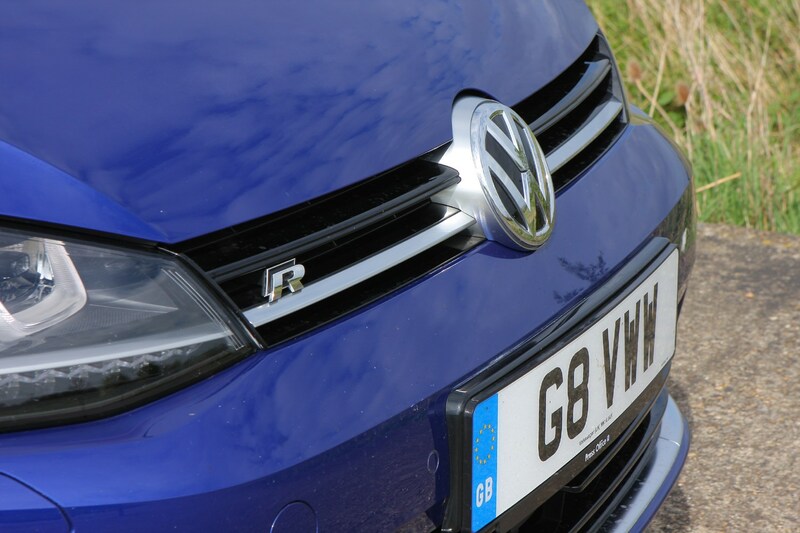 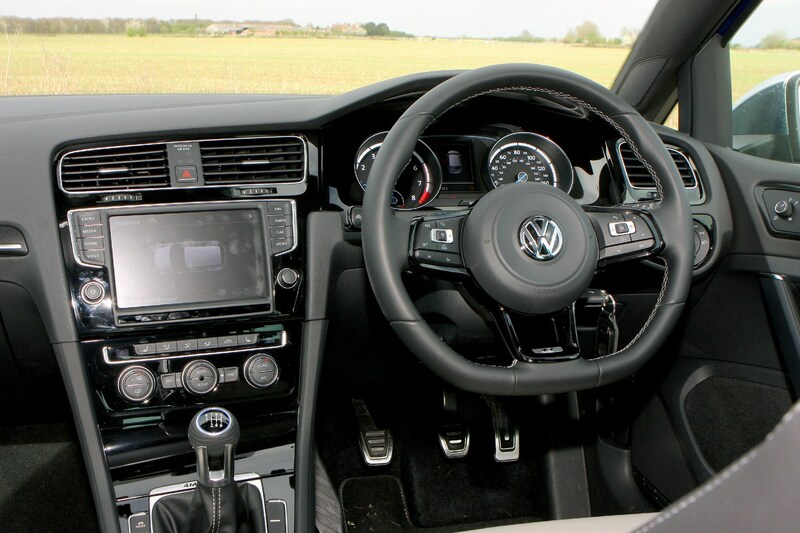 Read on for the full Volkswagen Golf R review to find out if it’s worth the extra cash.